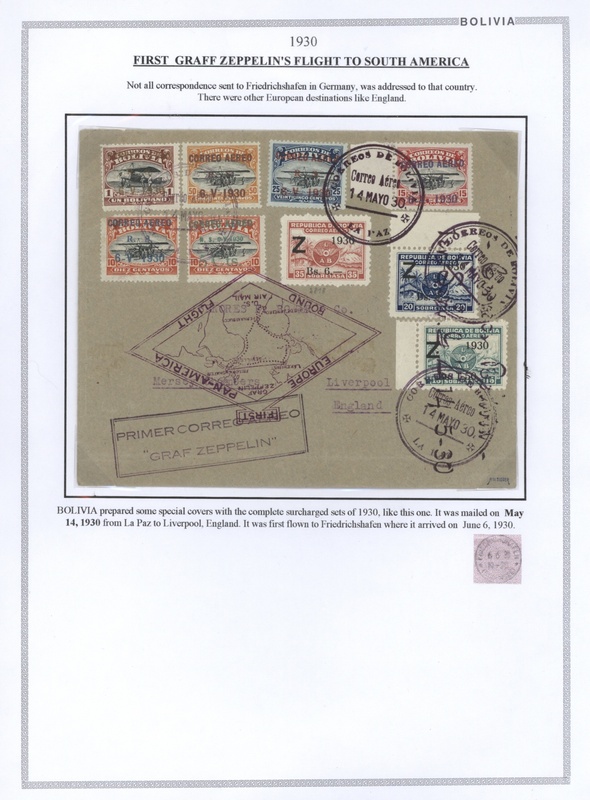 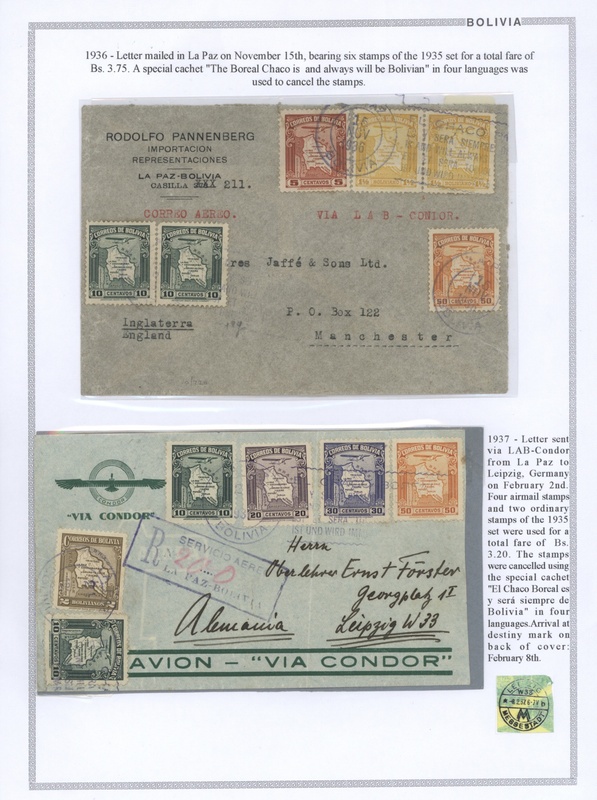 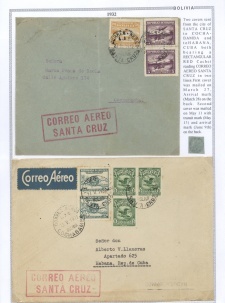 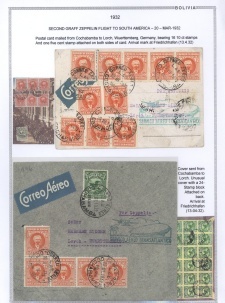 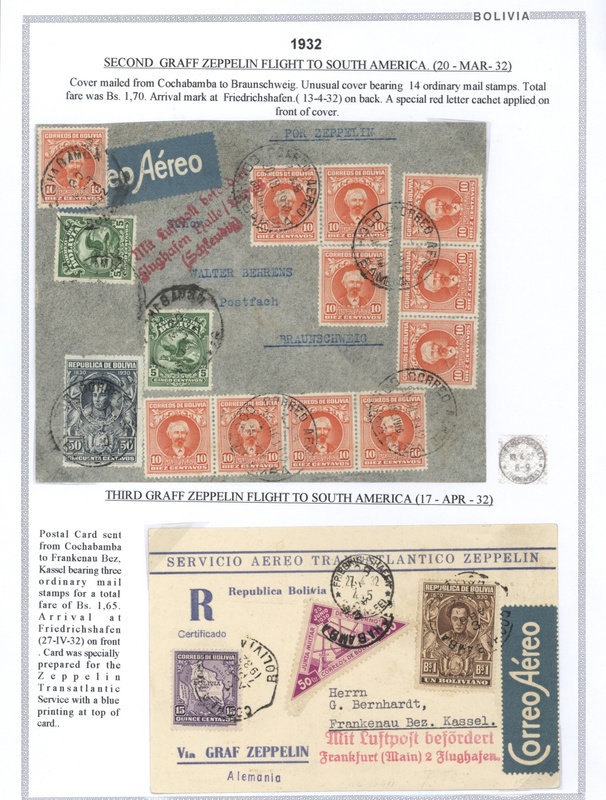 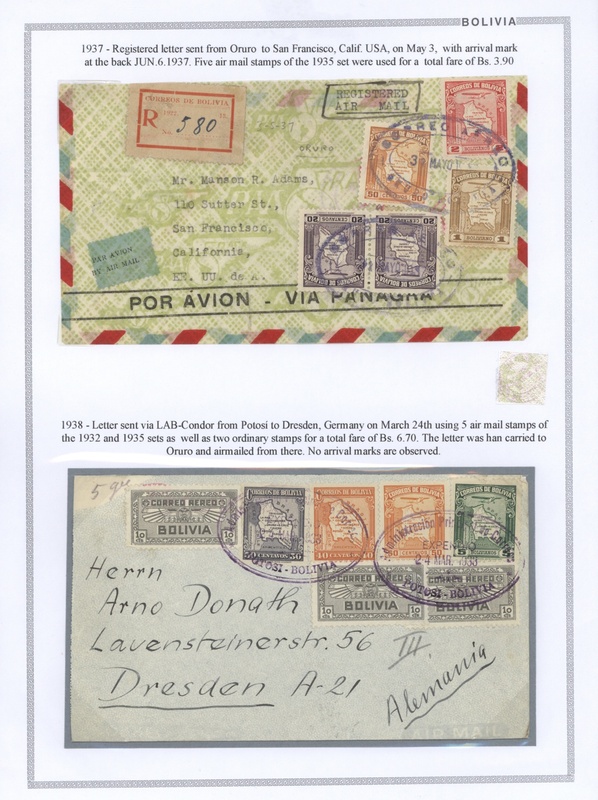 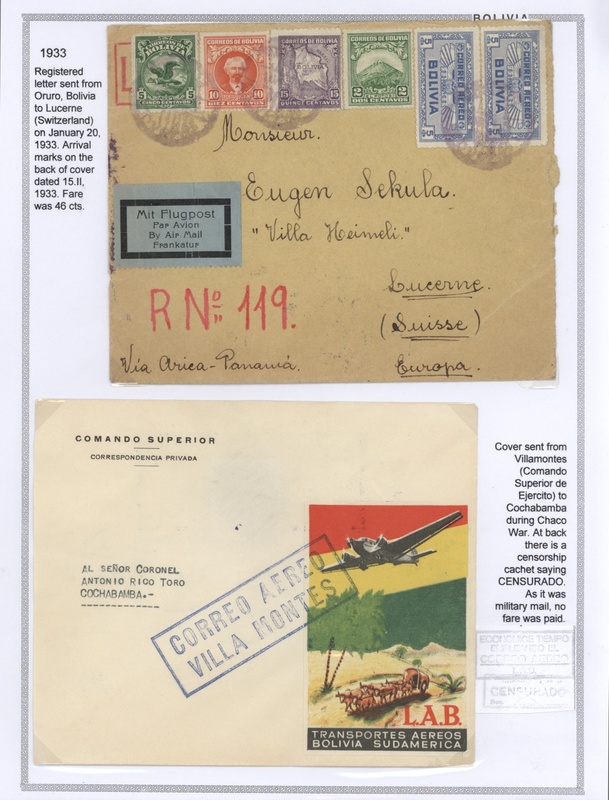 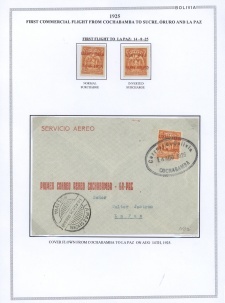 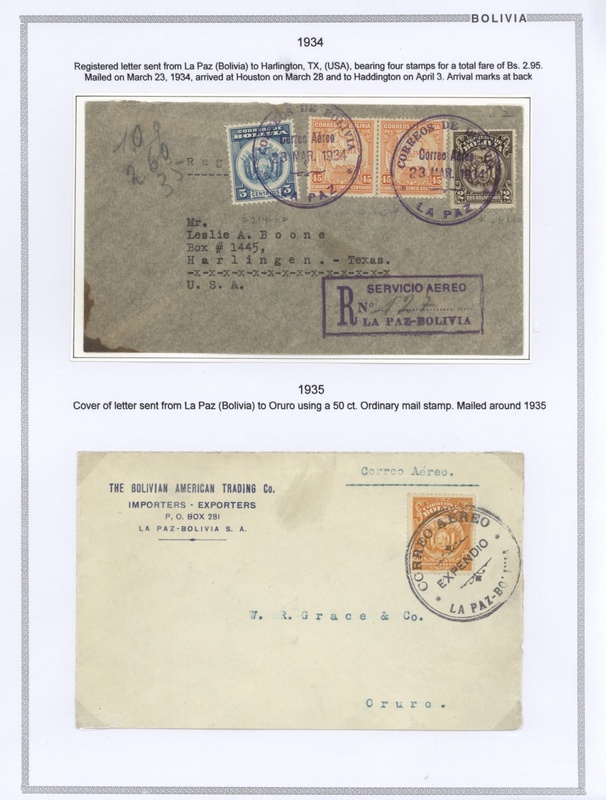 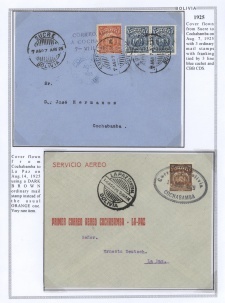 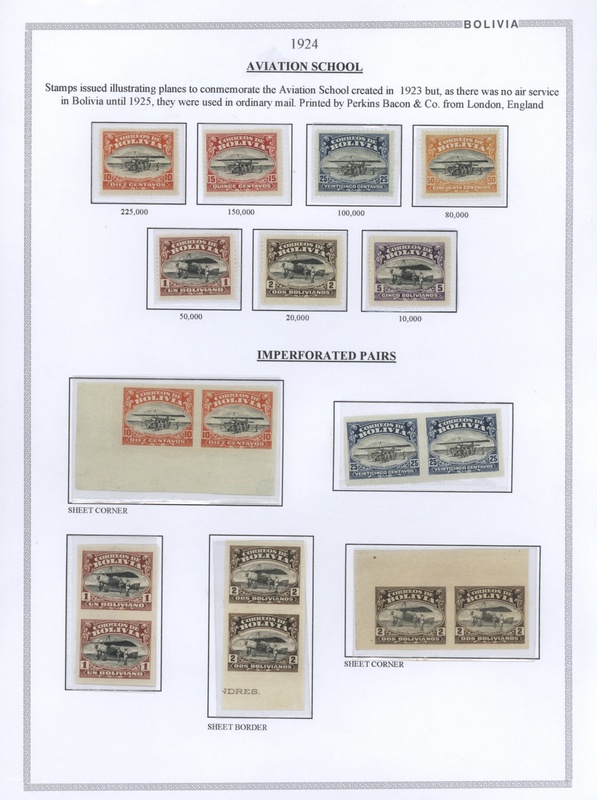 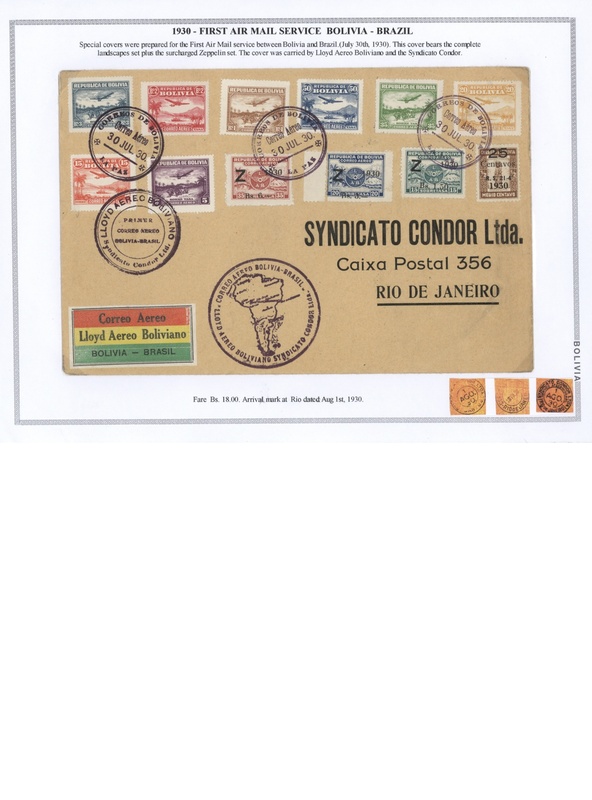 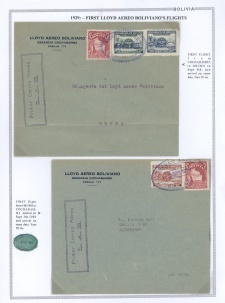 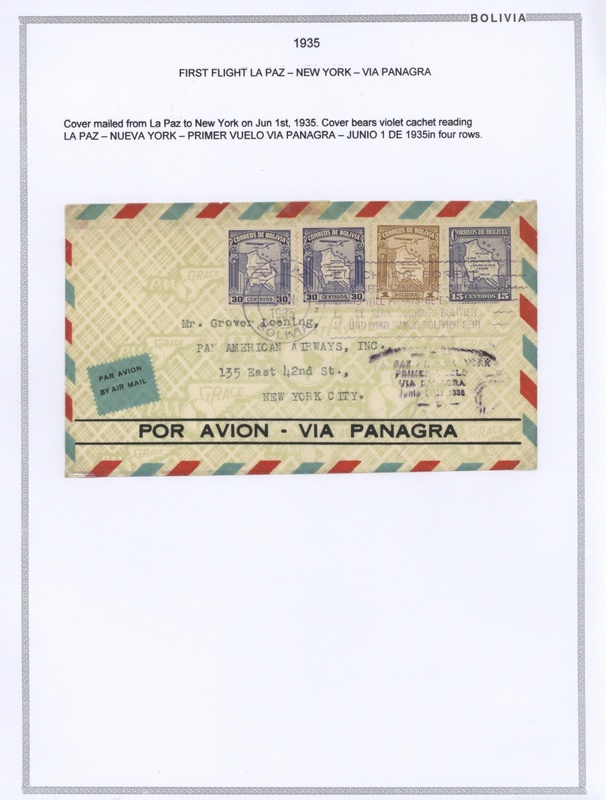 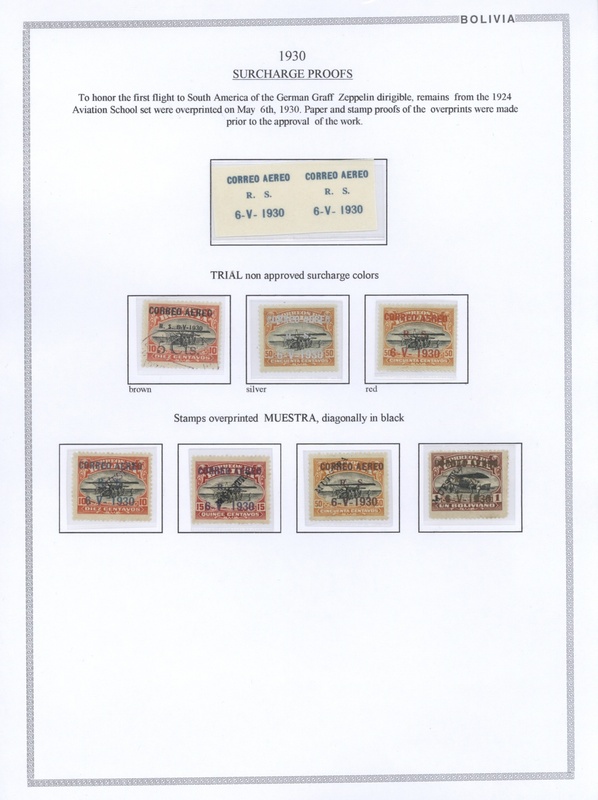 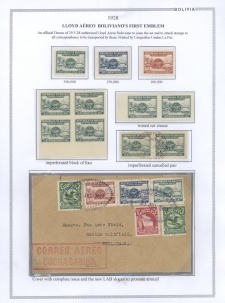 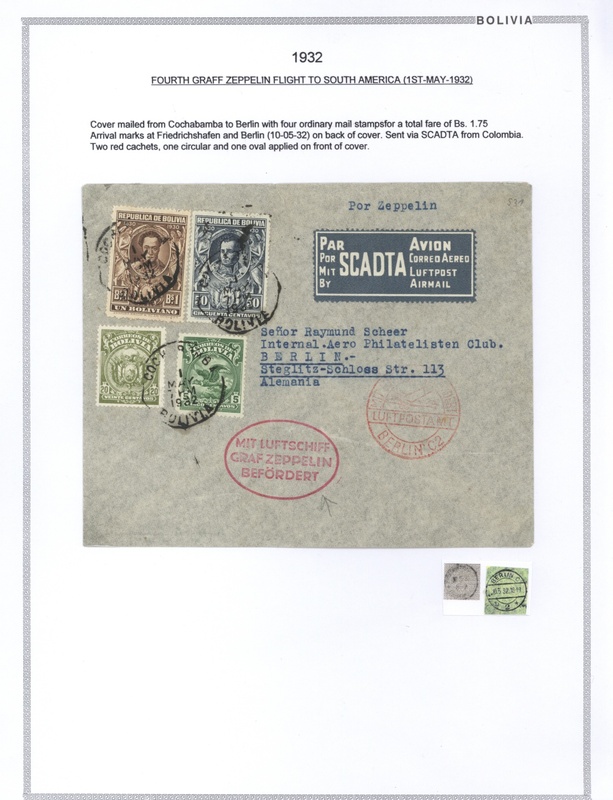 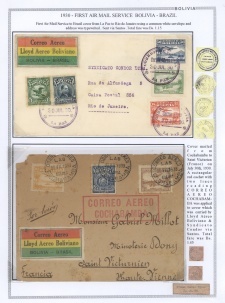 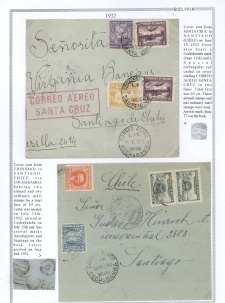 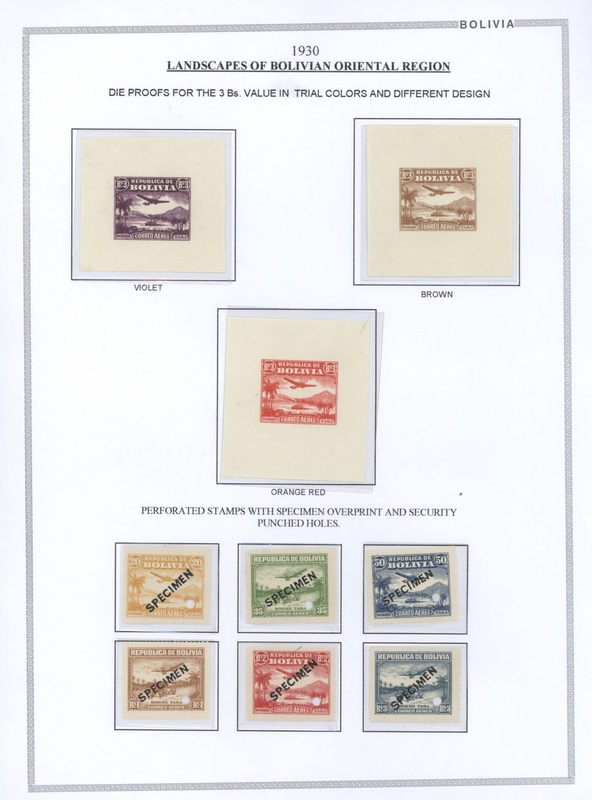 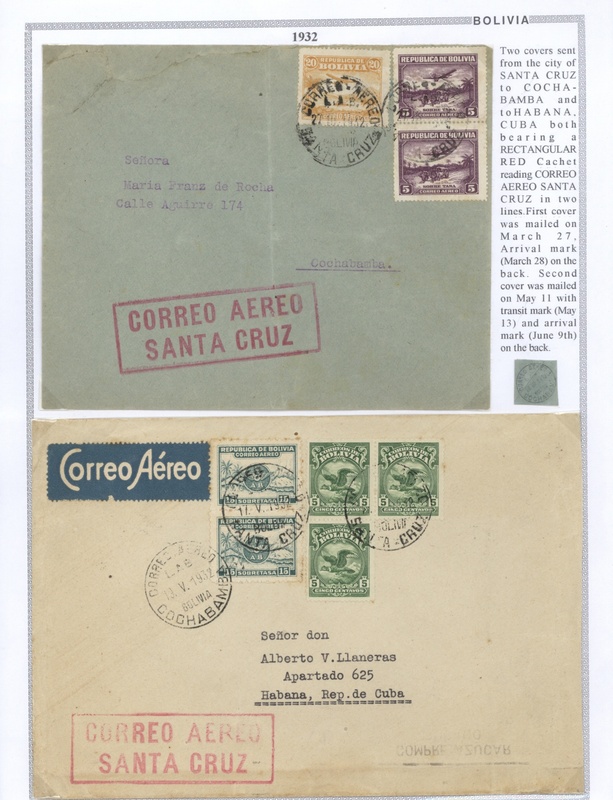 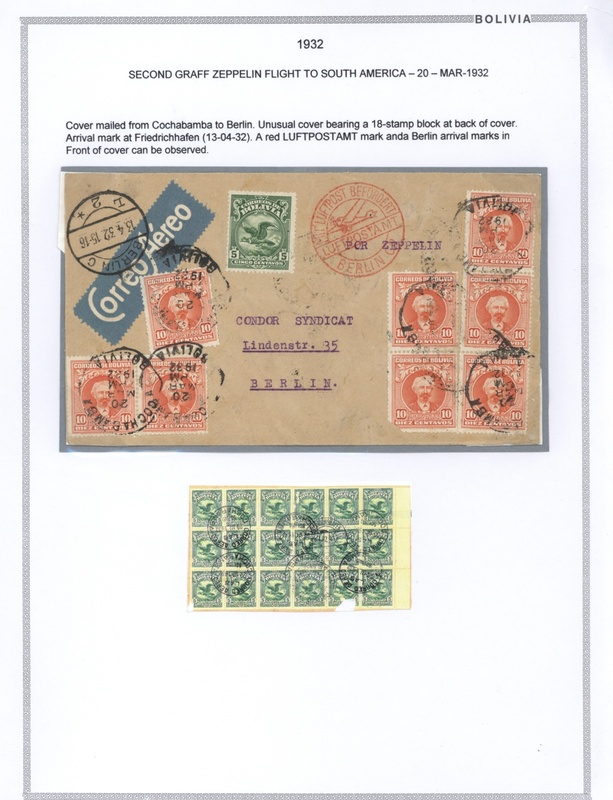 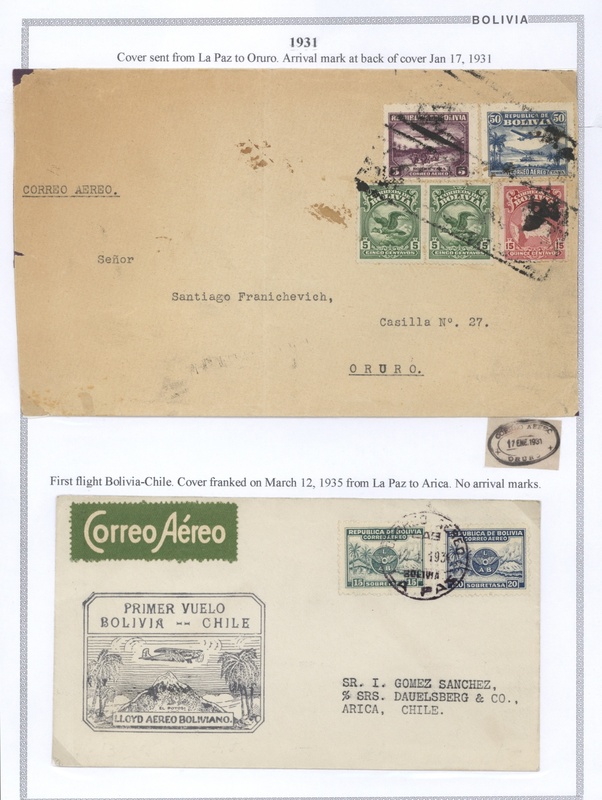 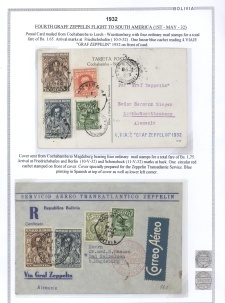 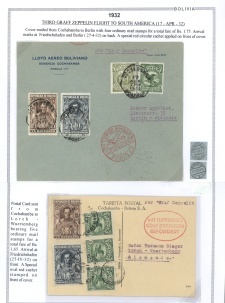 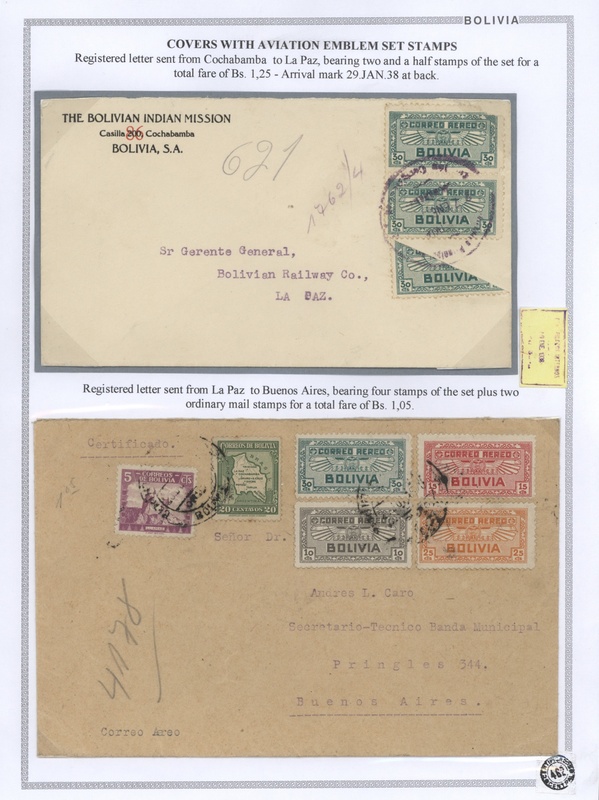 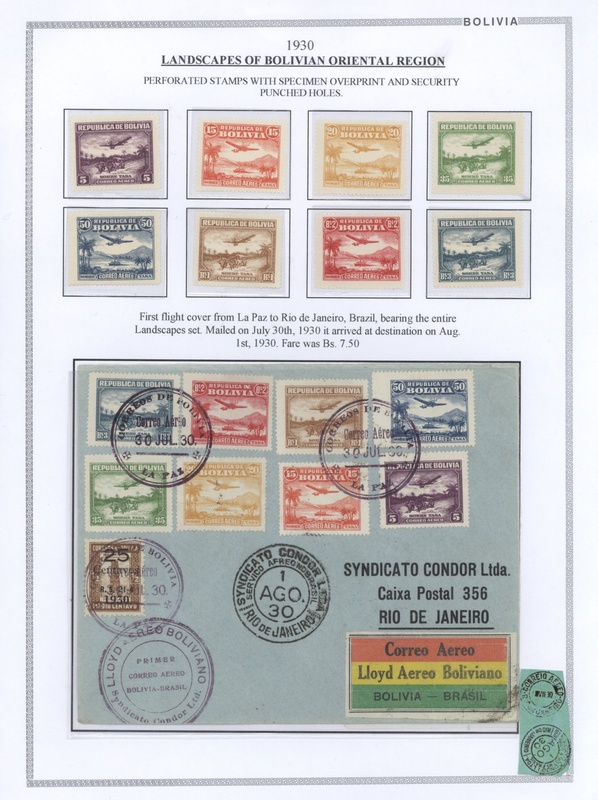 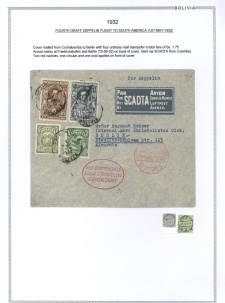 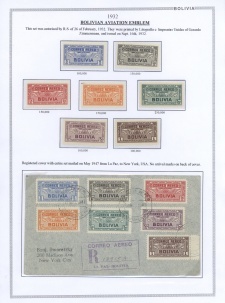 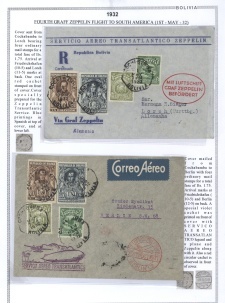 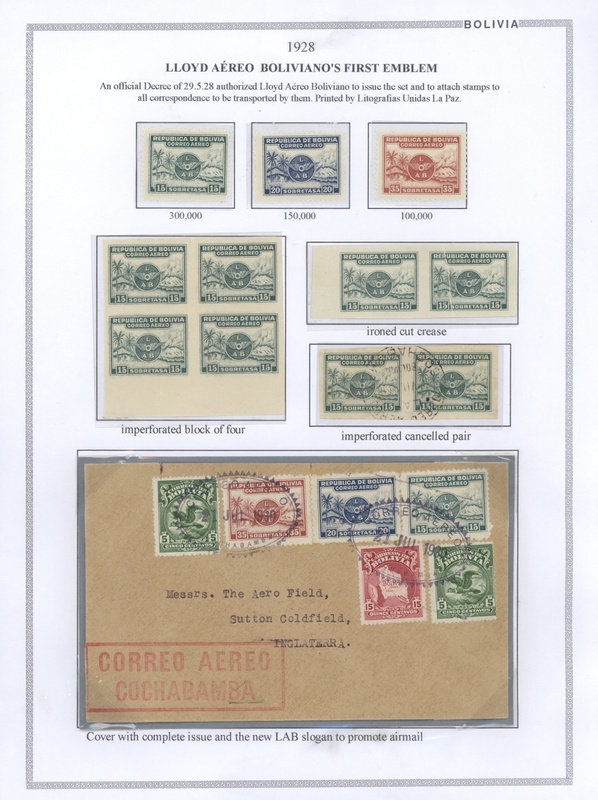 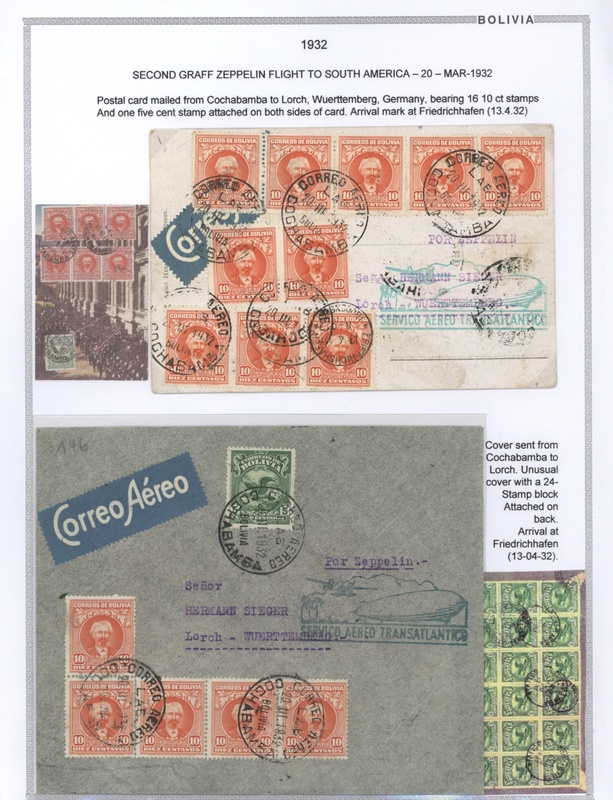 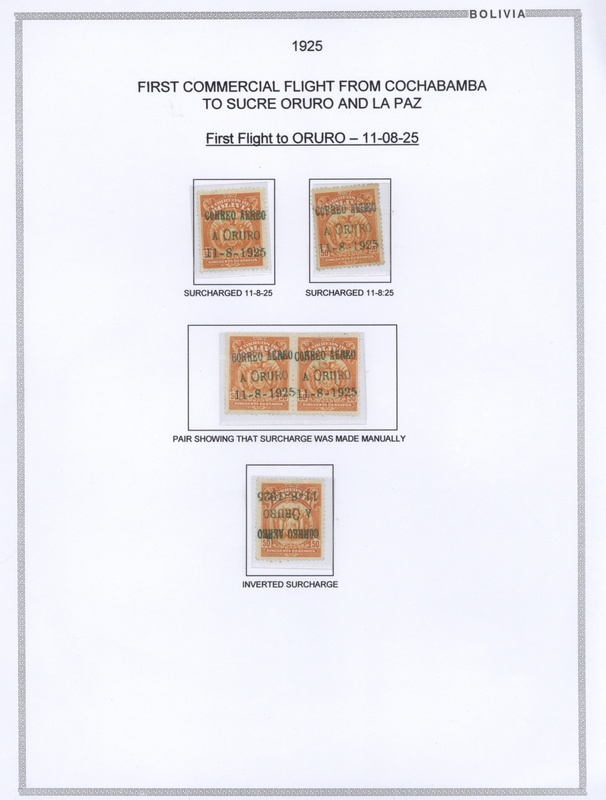 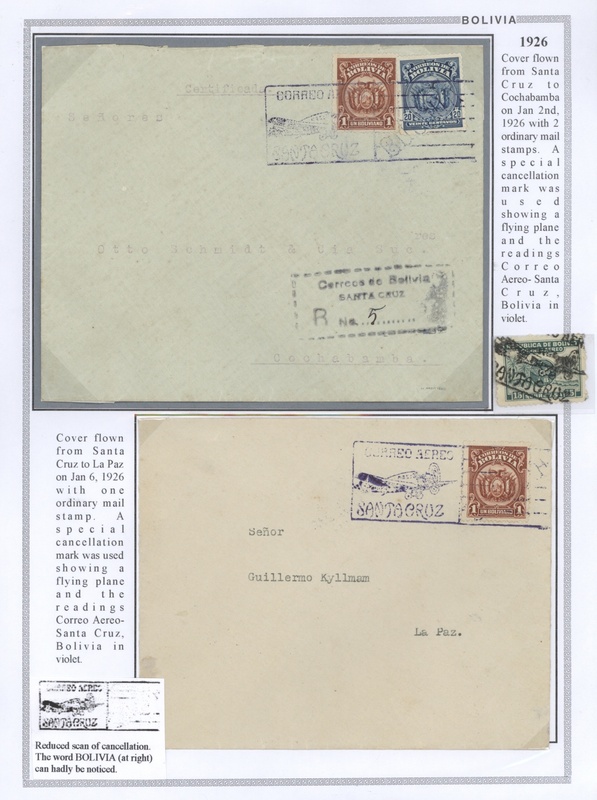 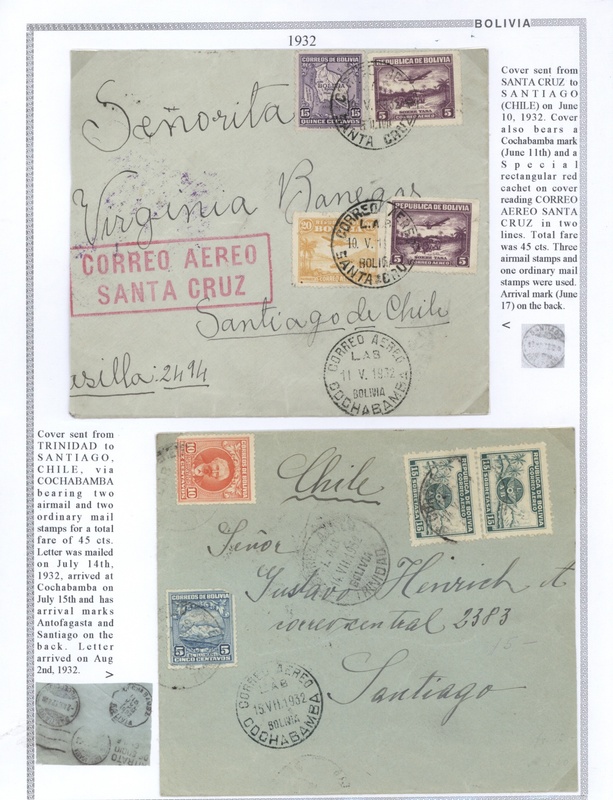 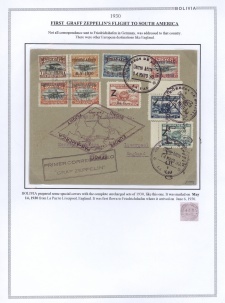 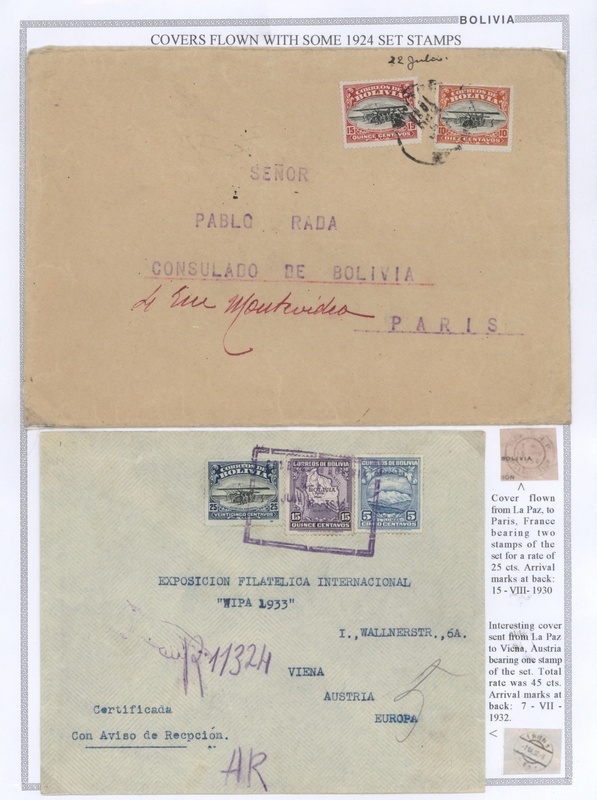 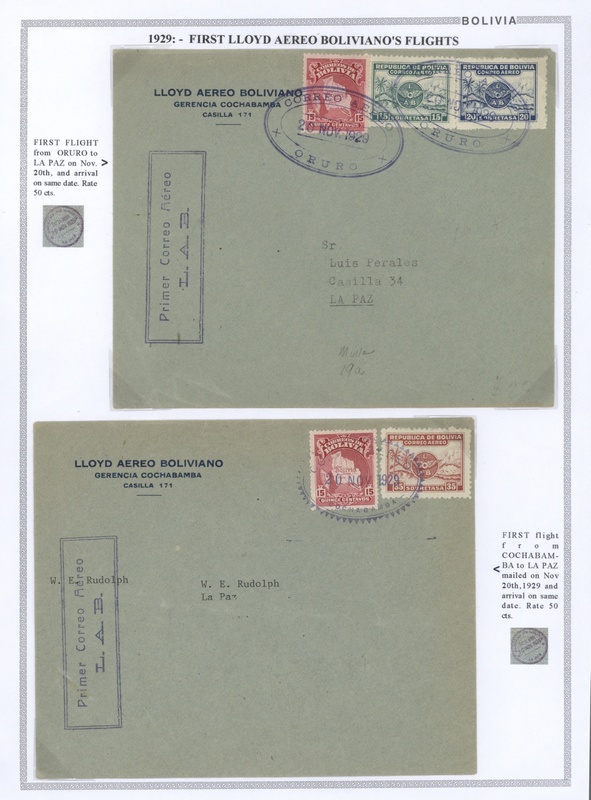 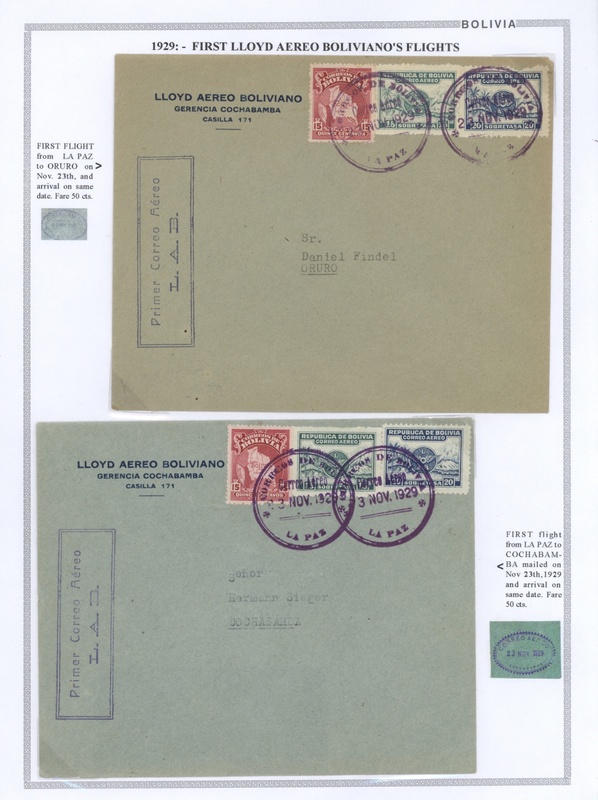 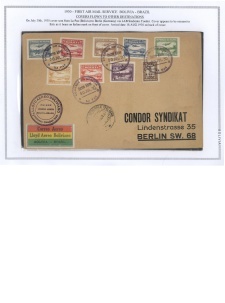 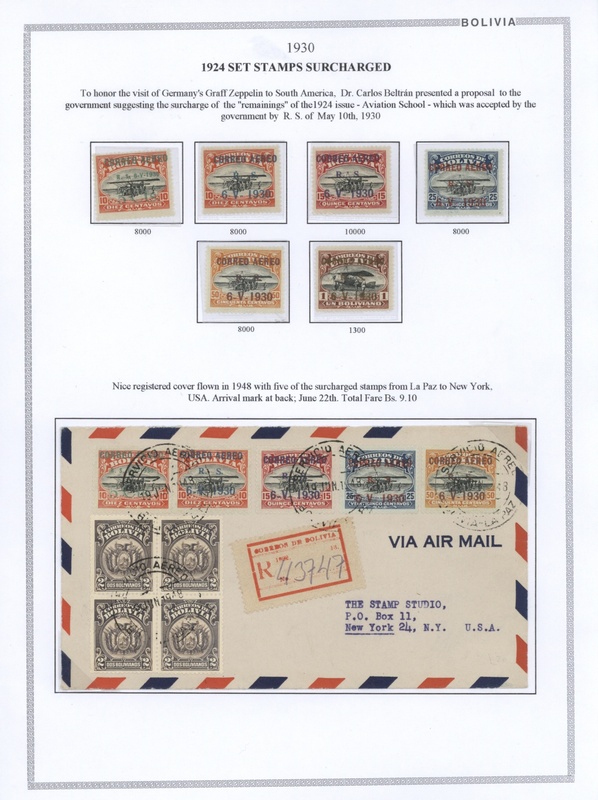 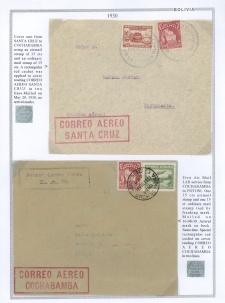 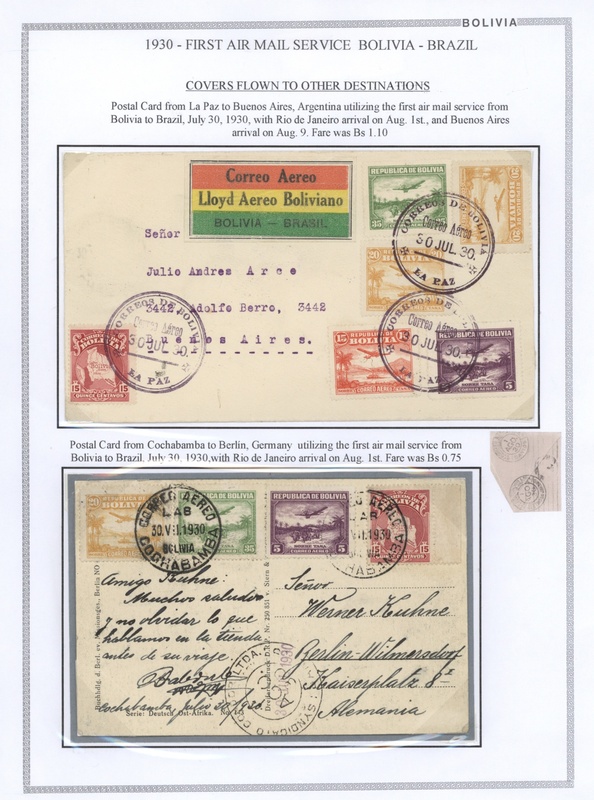 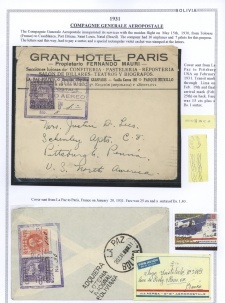 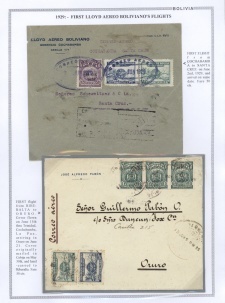 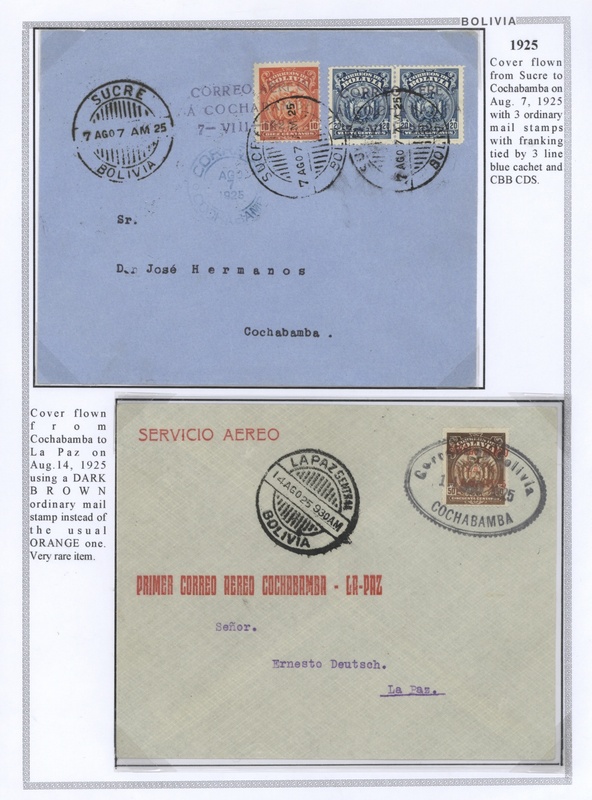 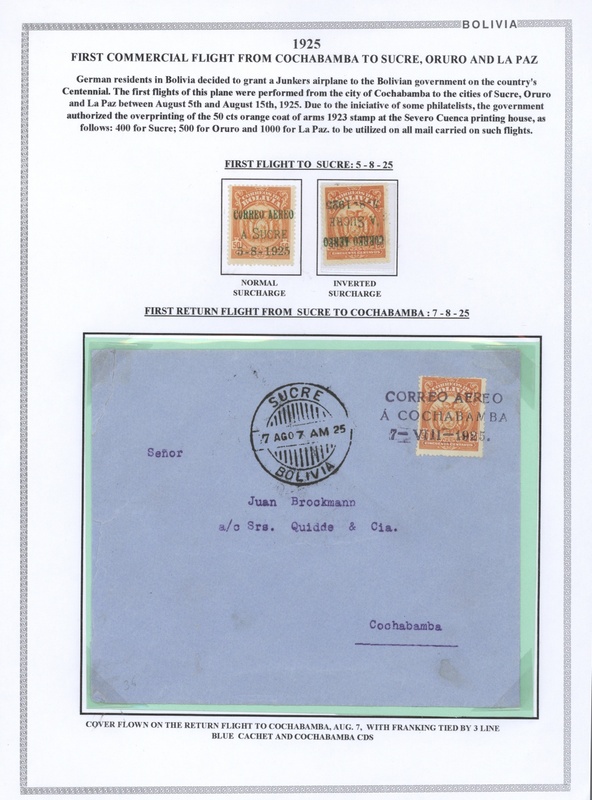 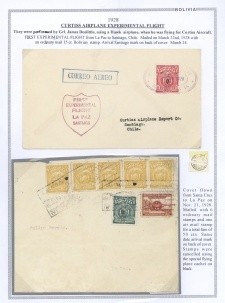 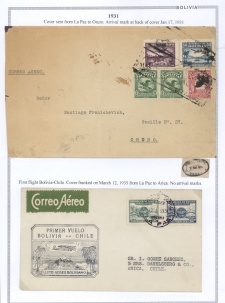 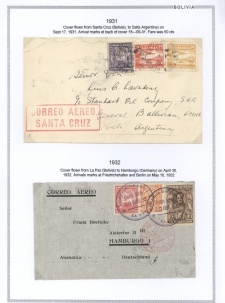 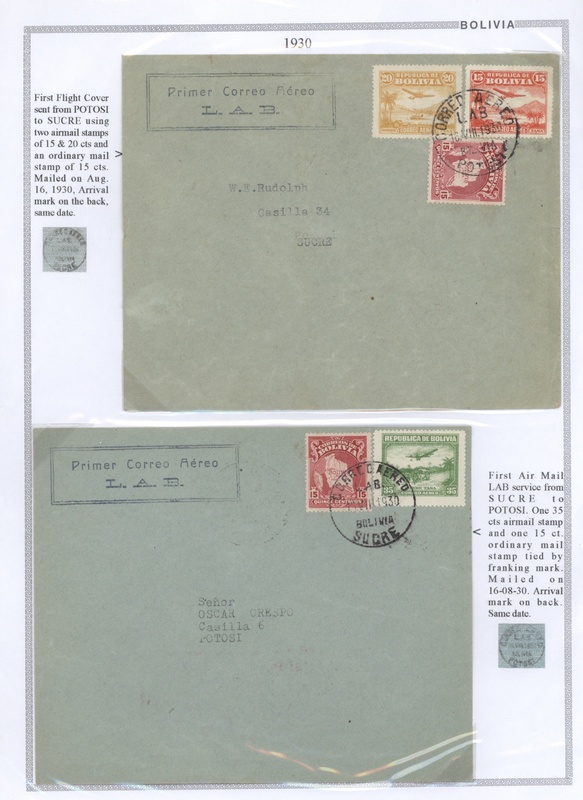 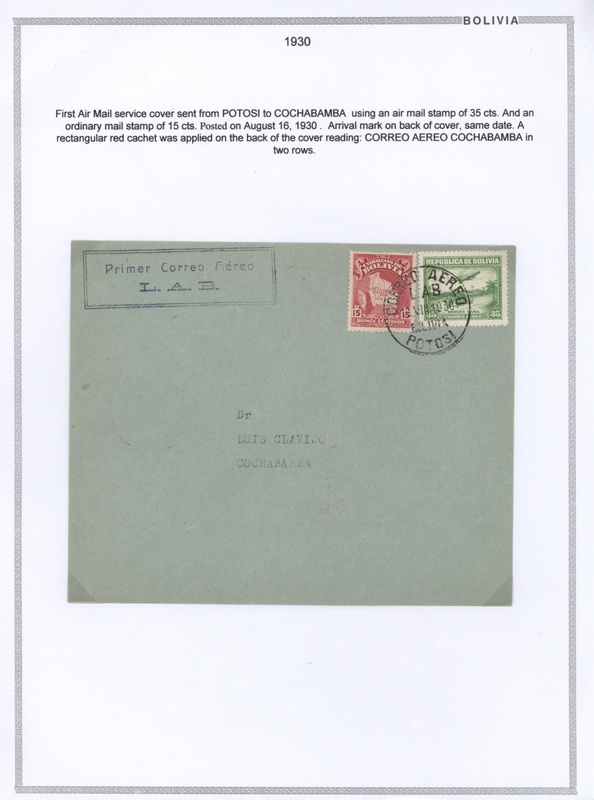 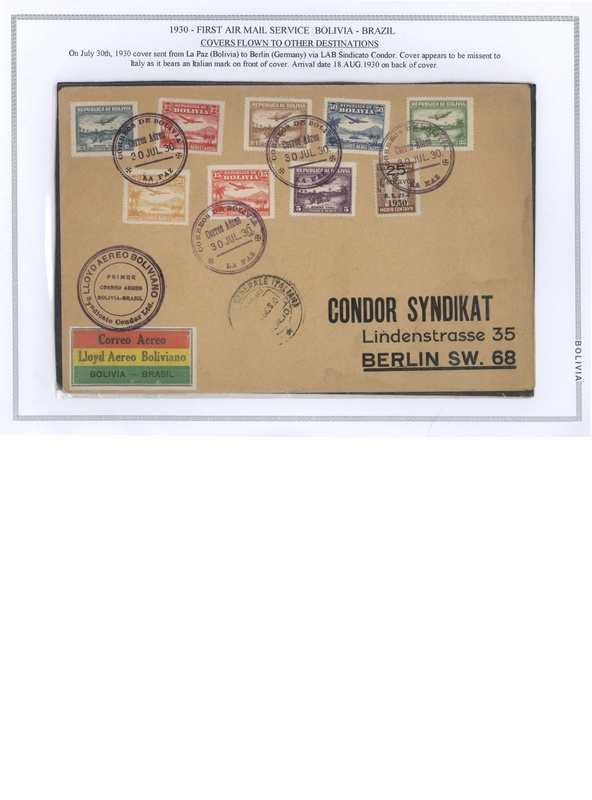 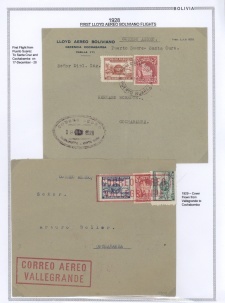 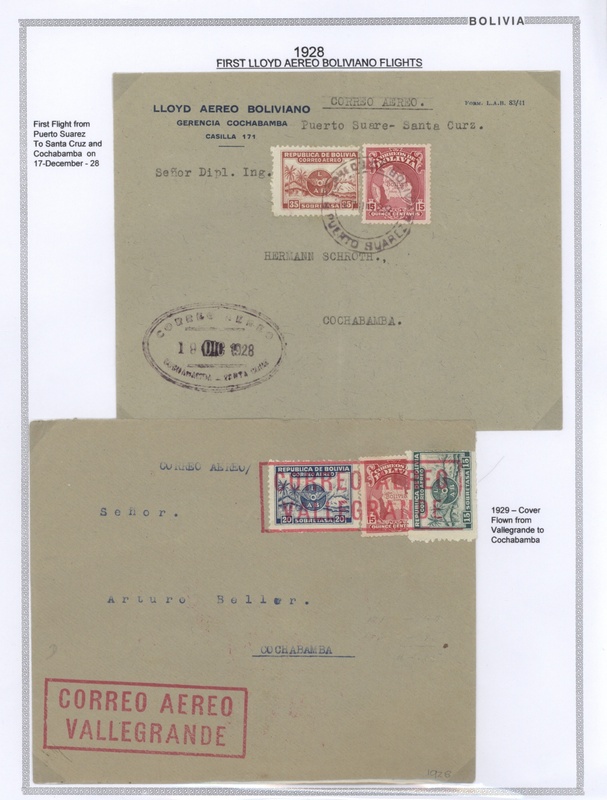 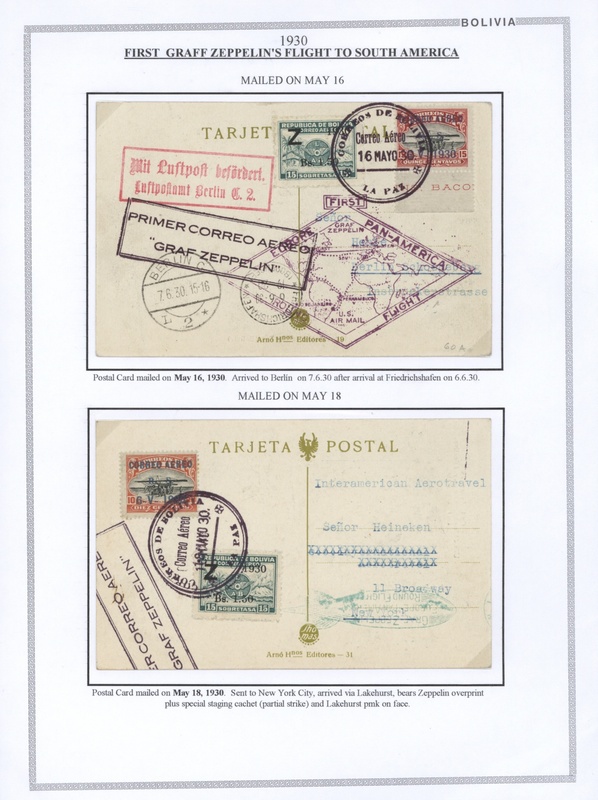 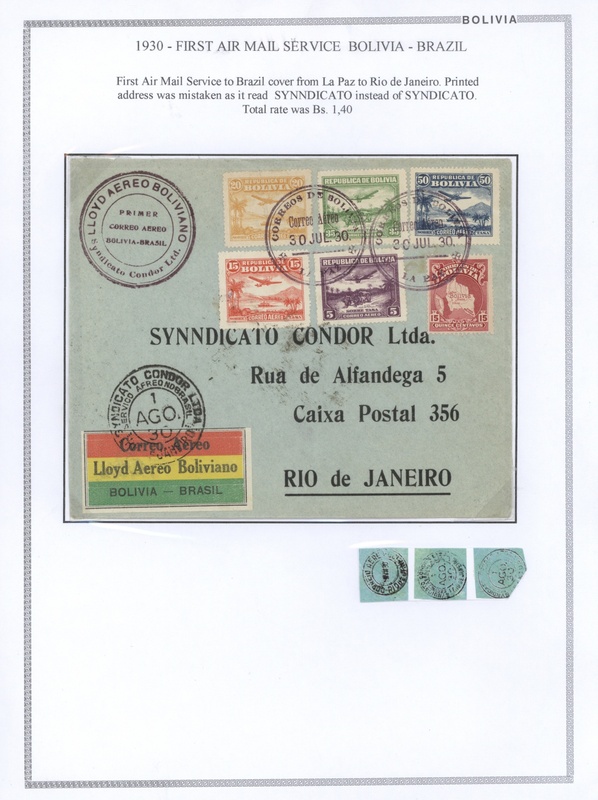 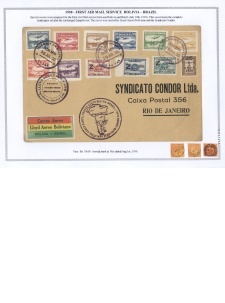 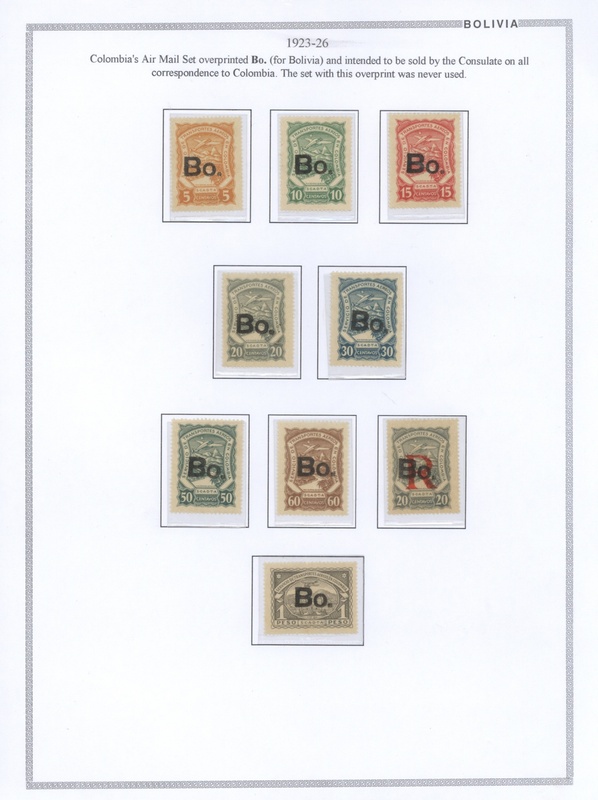 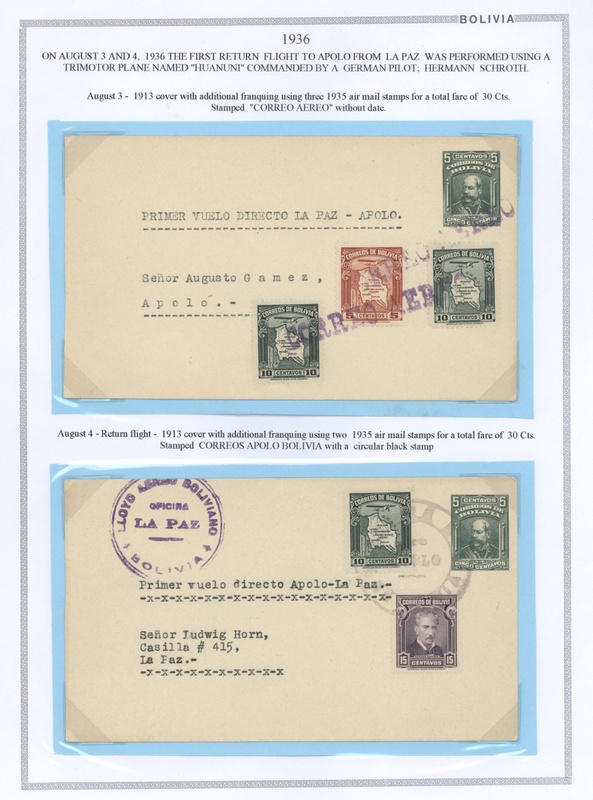 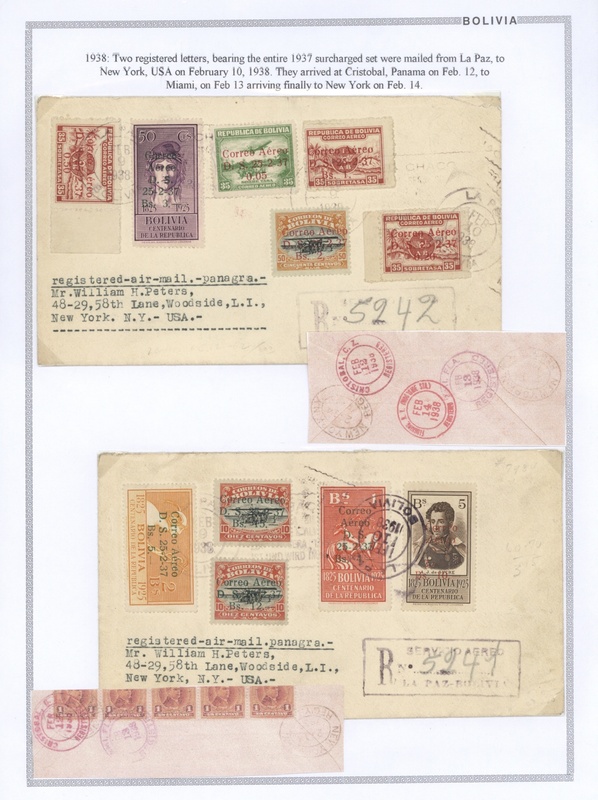 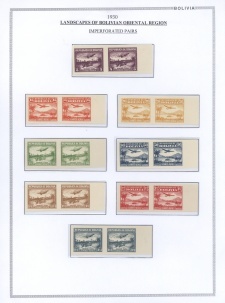 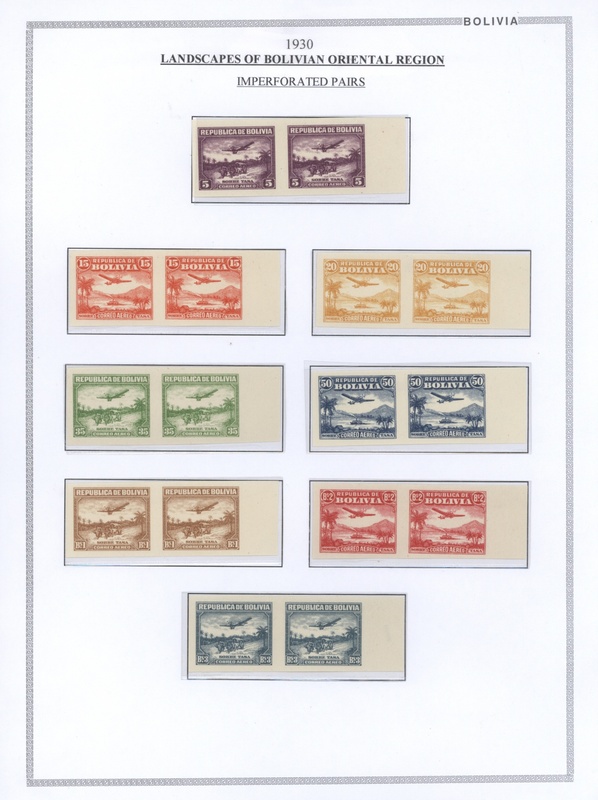 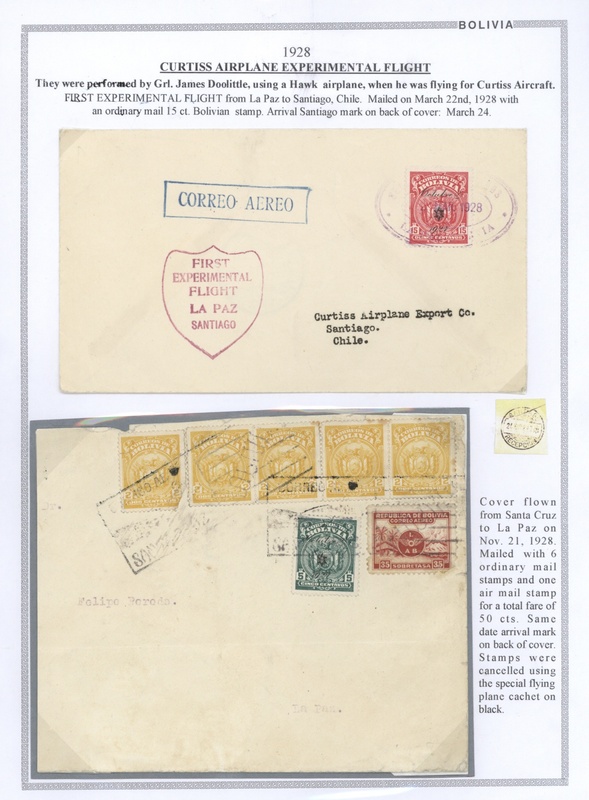 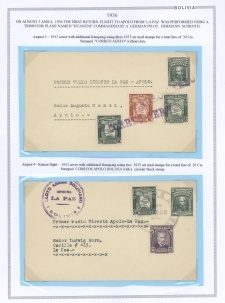 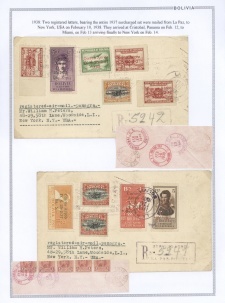 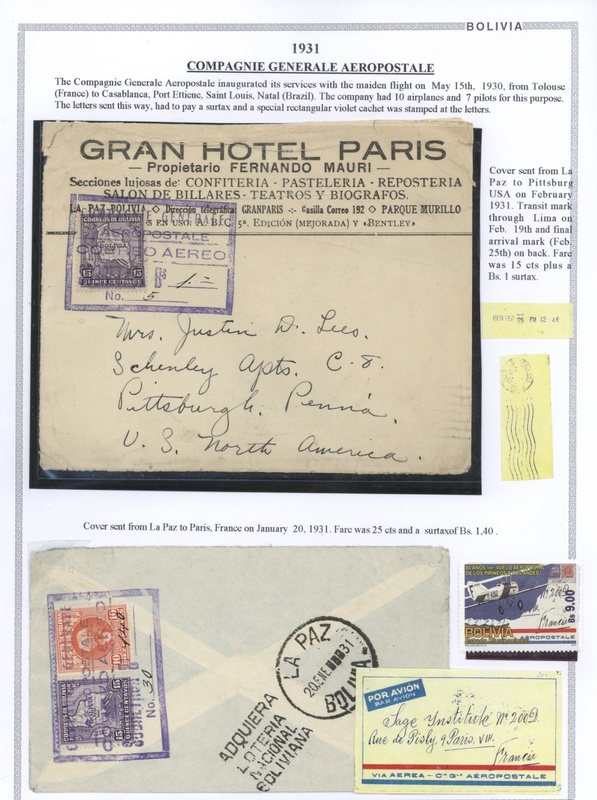 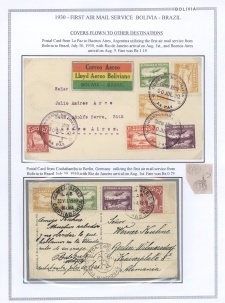 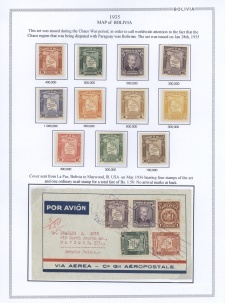 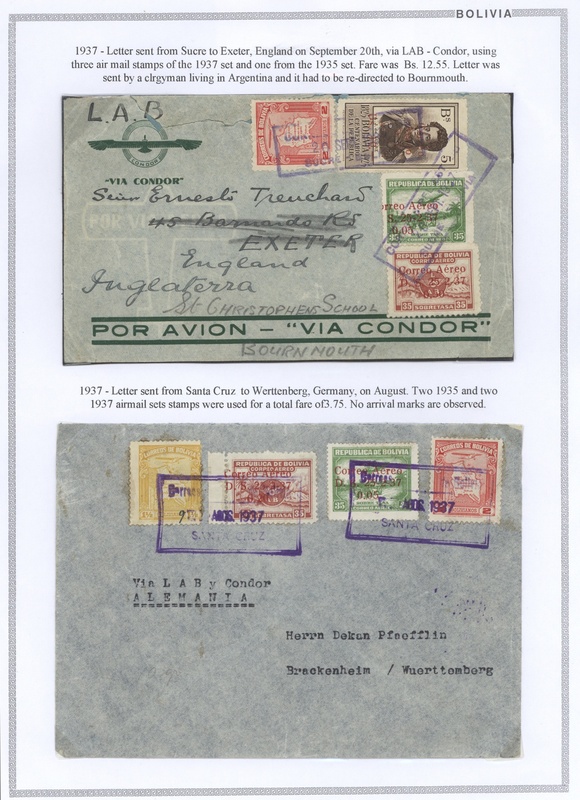 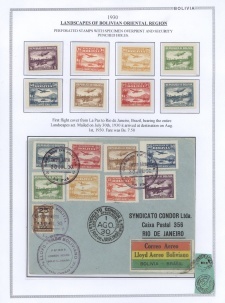 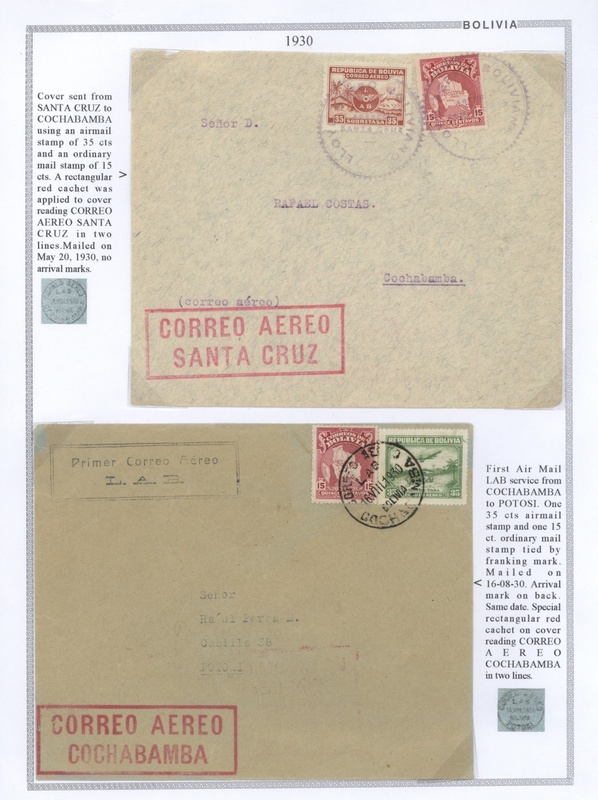 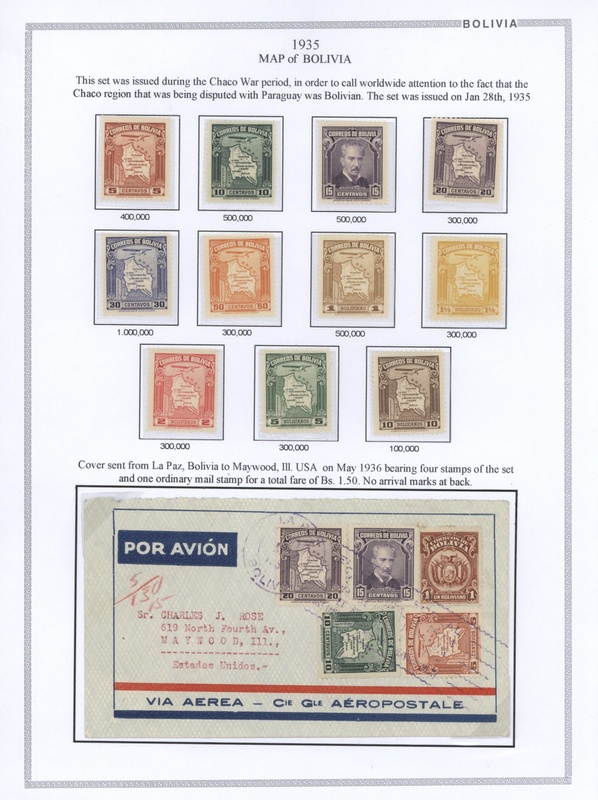 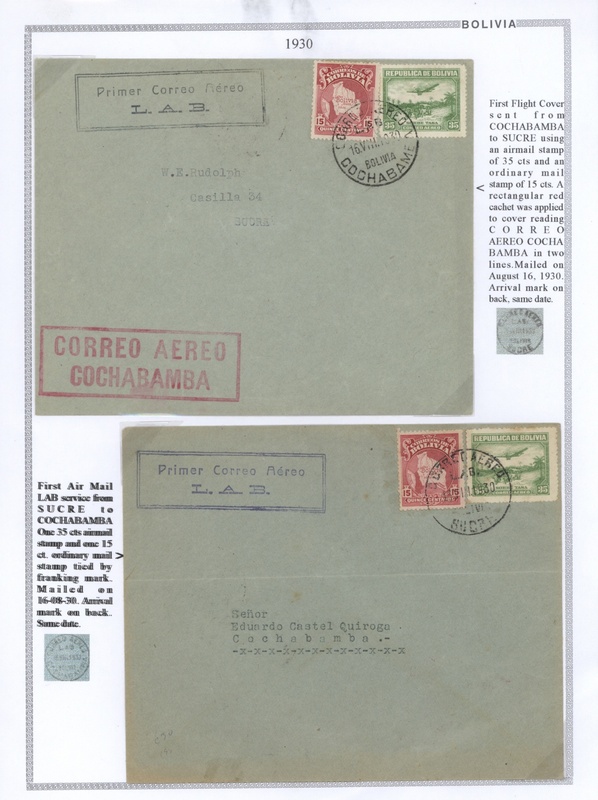 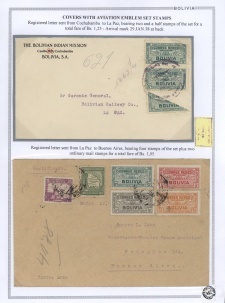 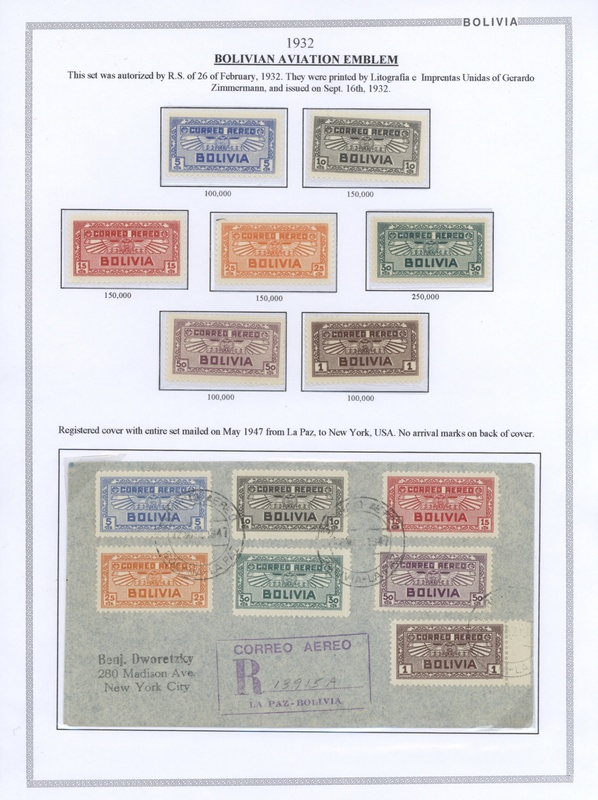 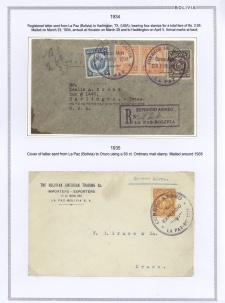 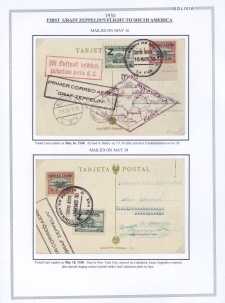 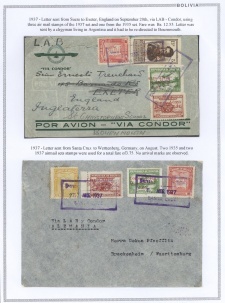 1923/37, A scarce collection of more than 90 EARLY AIRMAIL-LETTERS beginning with 9 Scadta-Stamps overprinted "Bo", many letters from Compagnie Generale Aeropostale, Lloyd Aero, Aero Santa Cruz, ca. 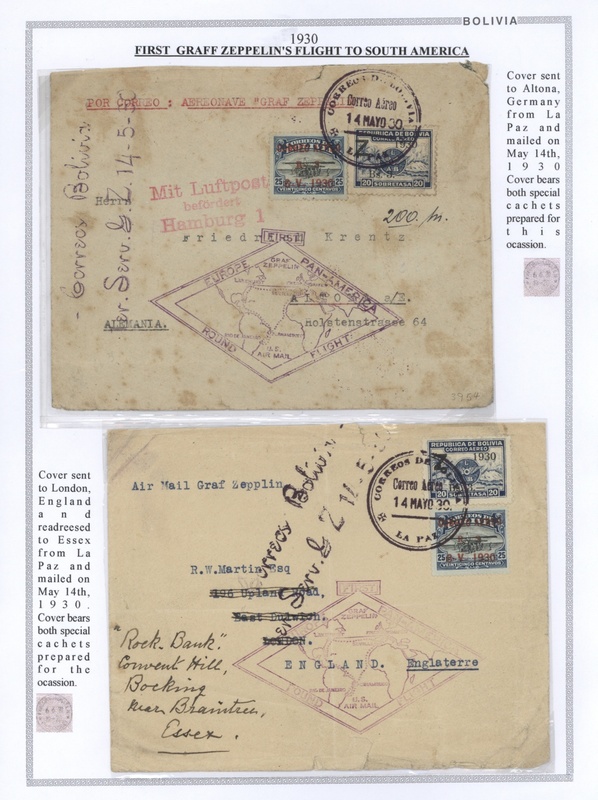 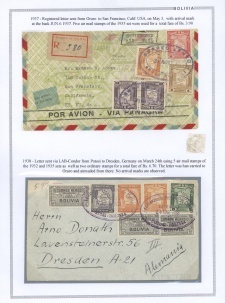 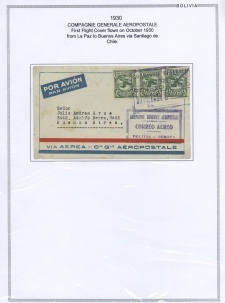 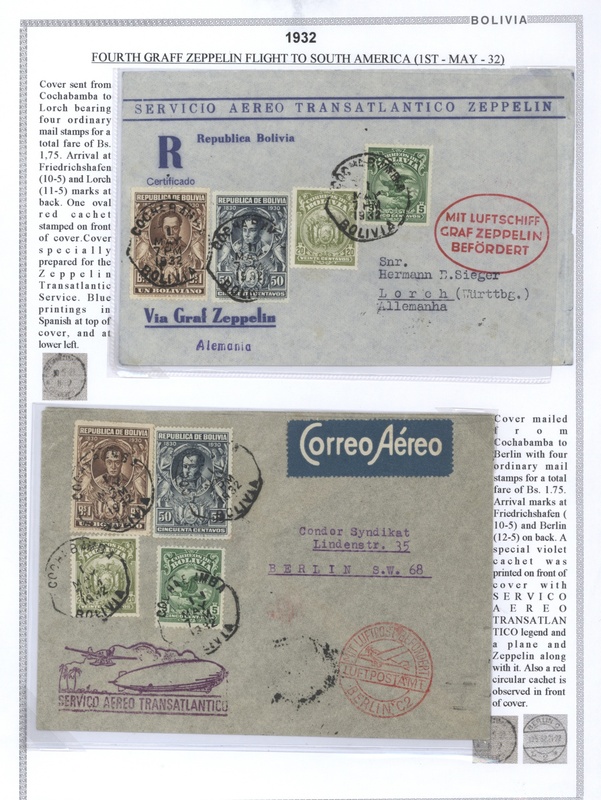 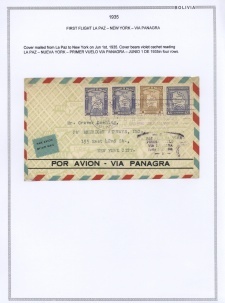 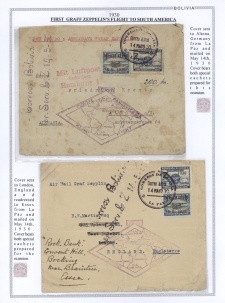 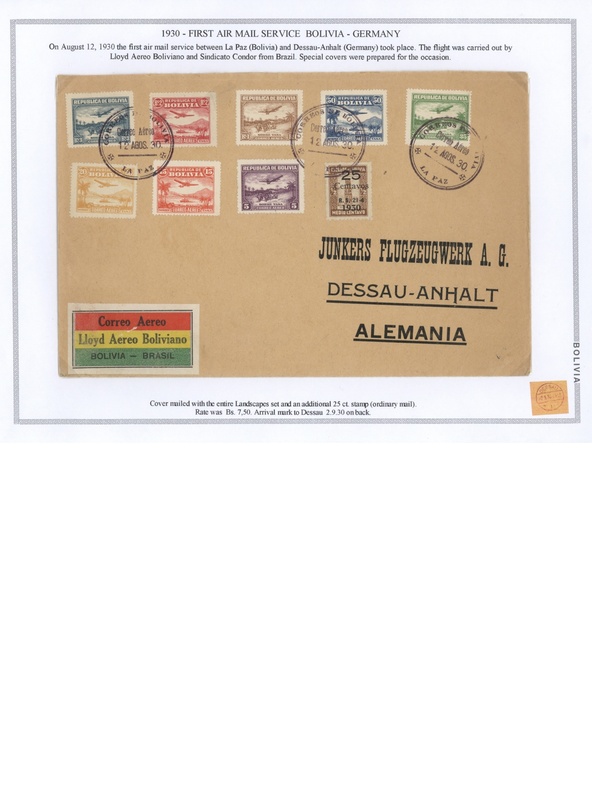 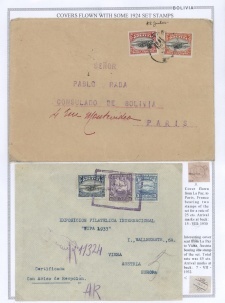 16 Graf Zeppelin-letters, Correo Aero L.A.B., ca. 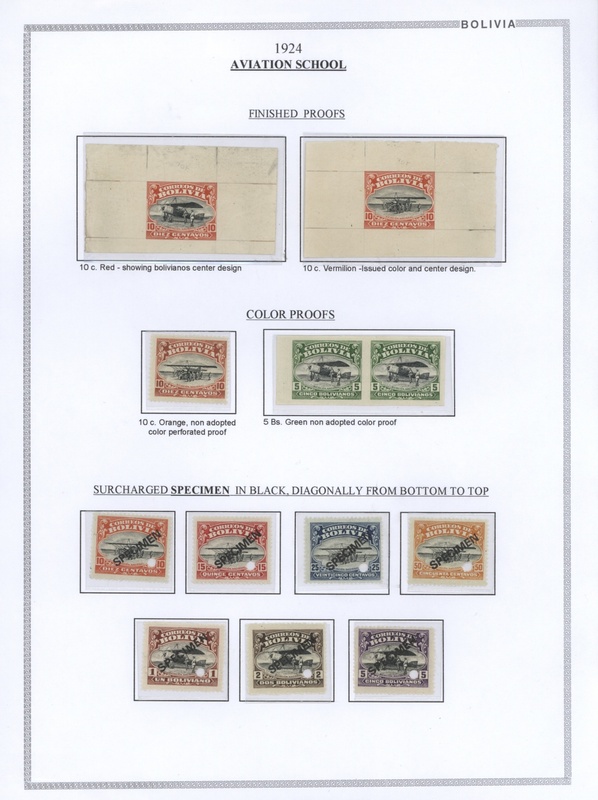 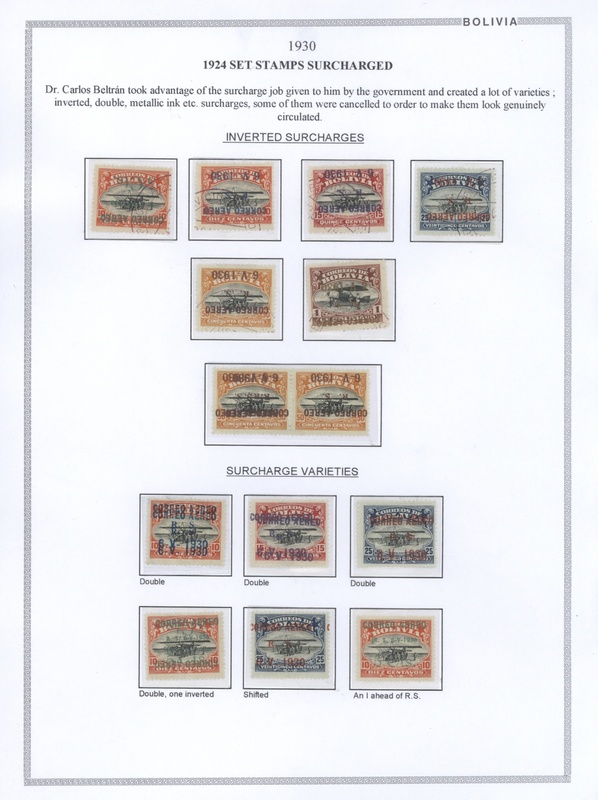 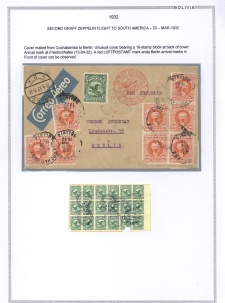 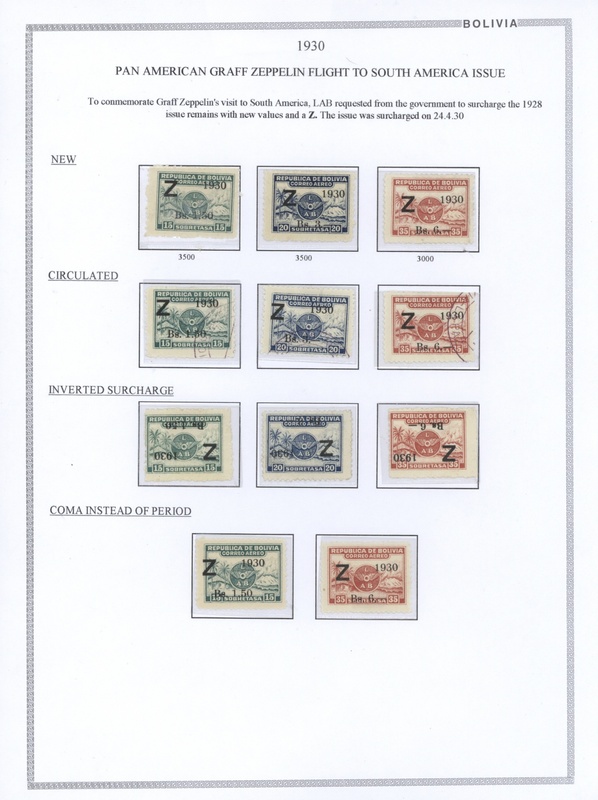 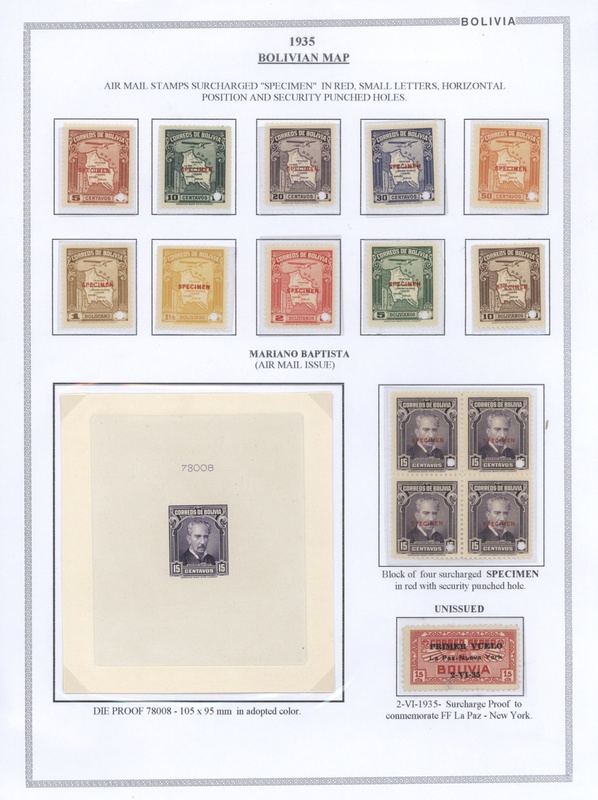 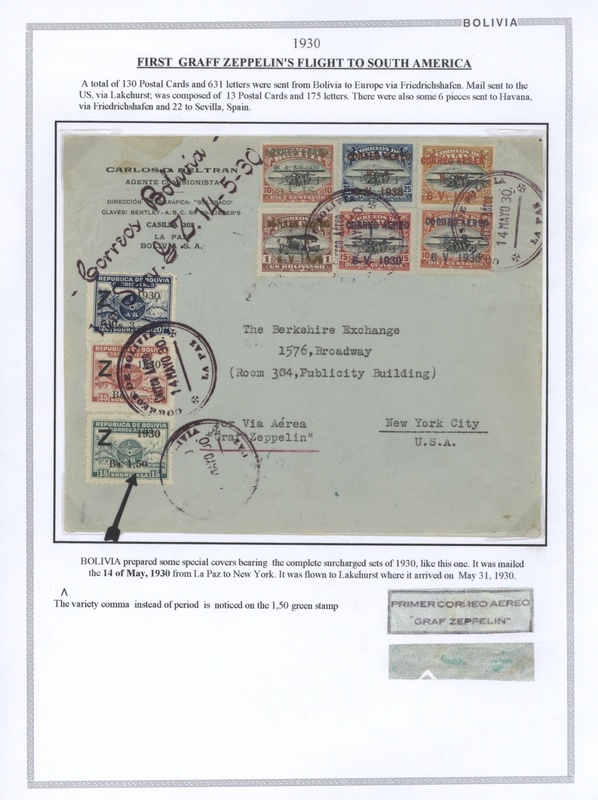 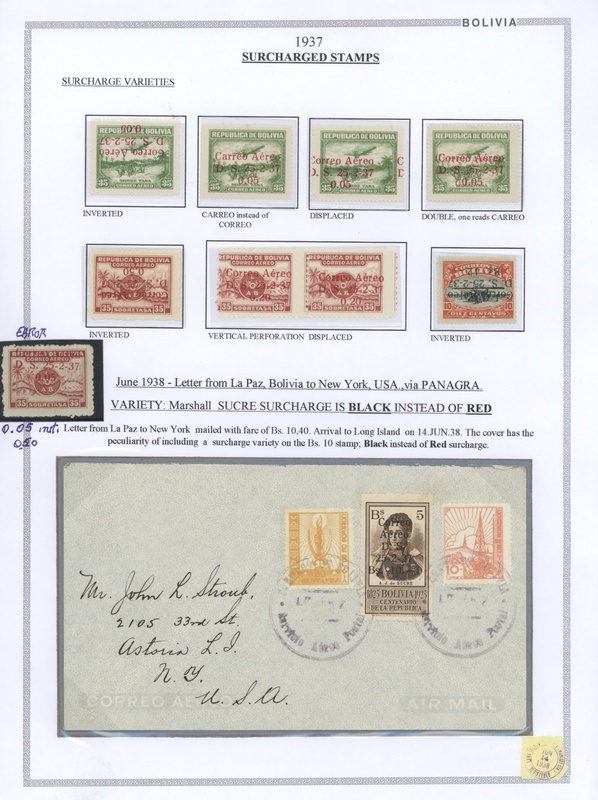 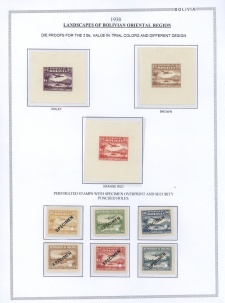 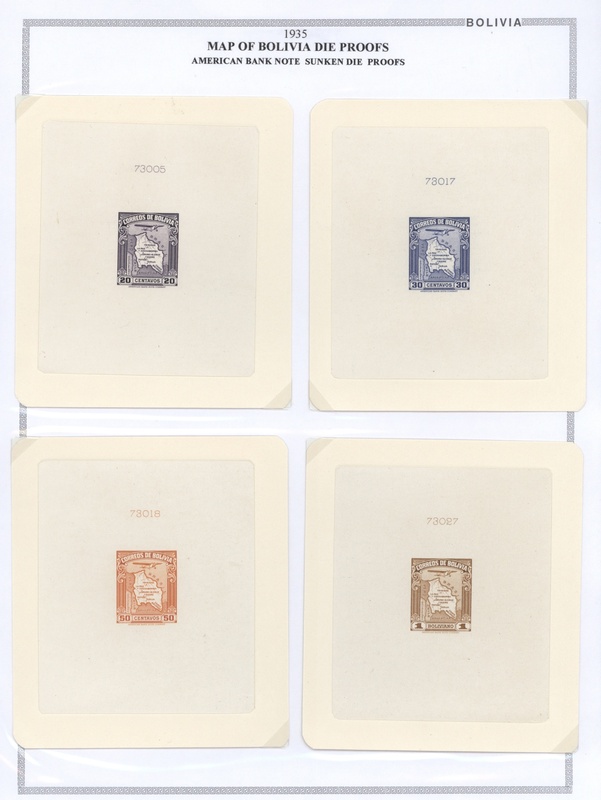 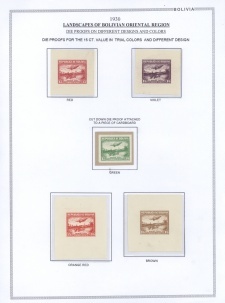 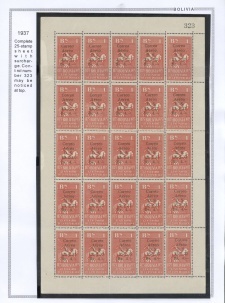 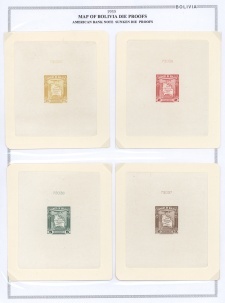 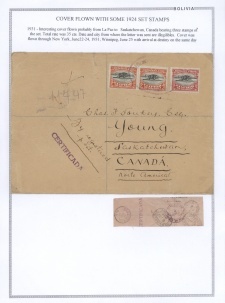 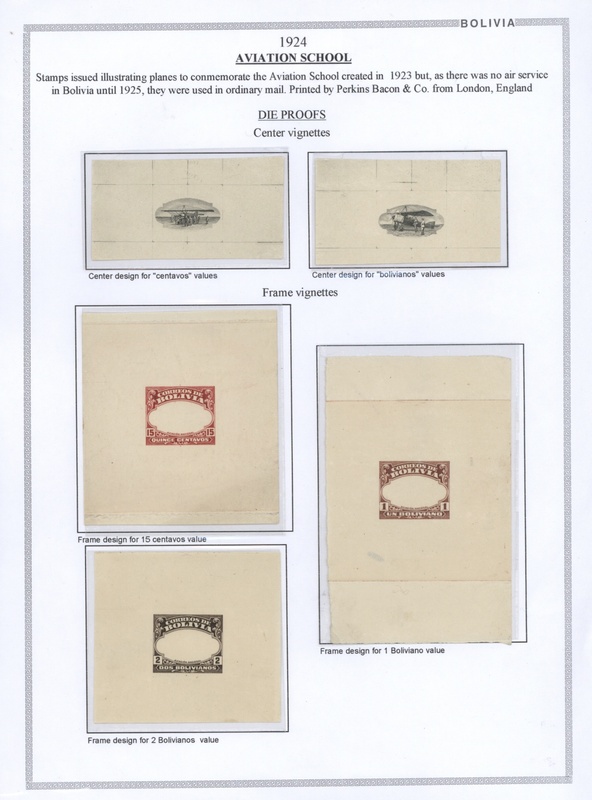 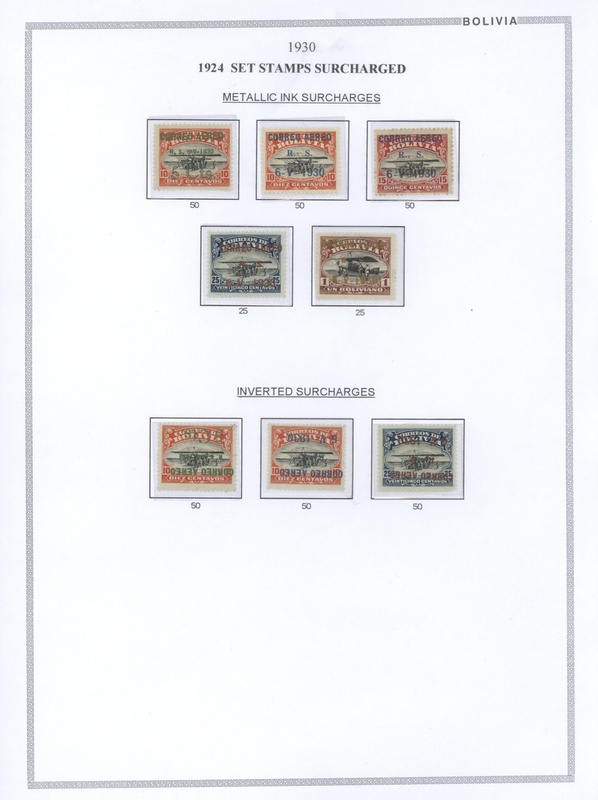 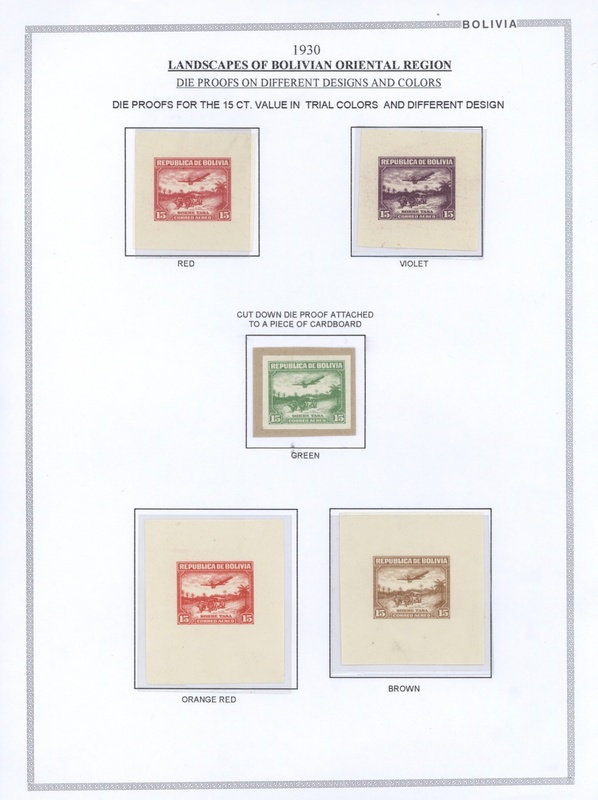 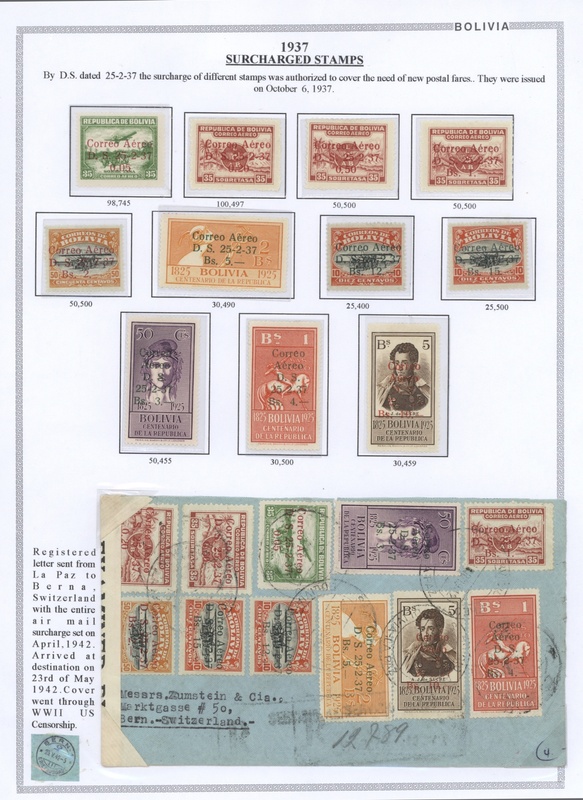 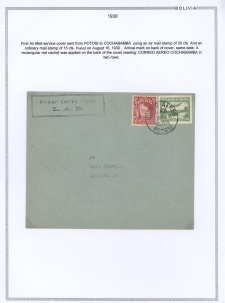 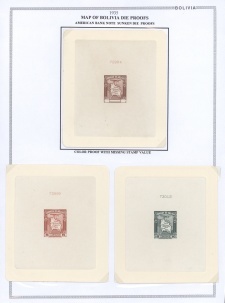 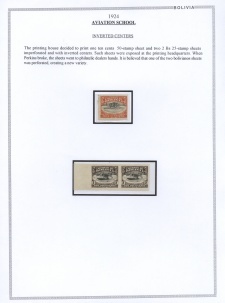 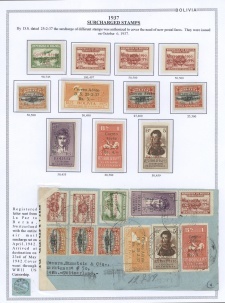 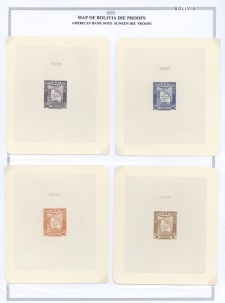 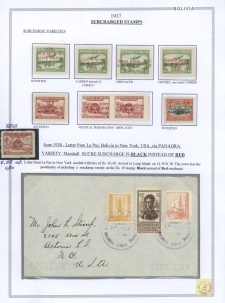 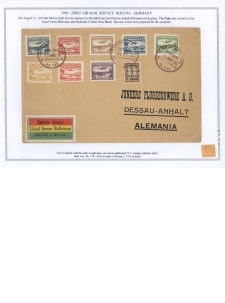 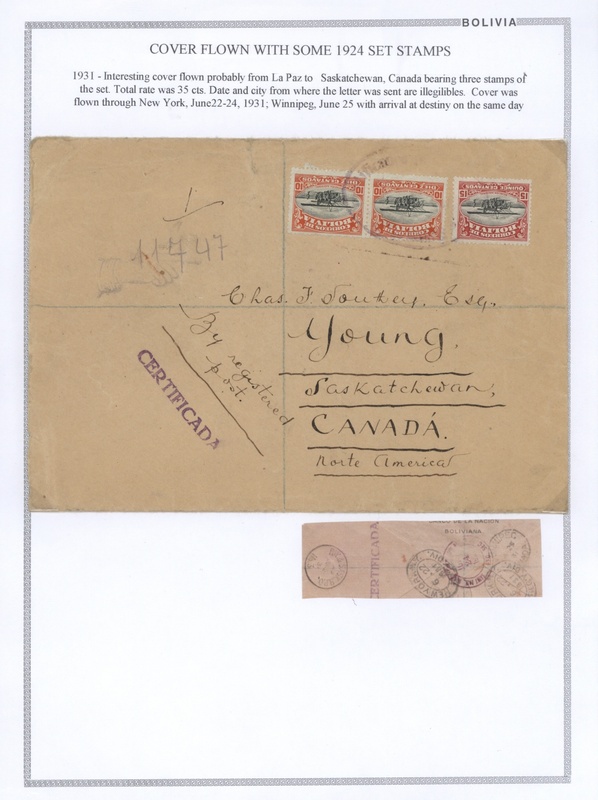 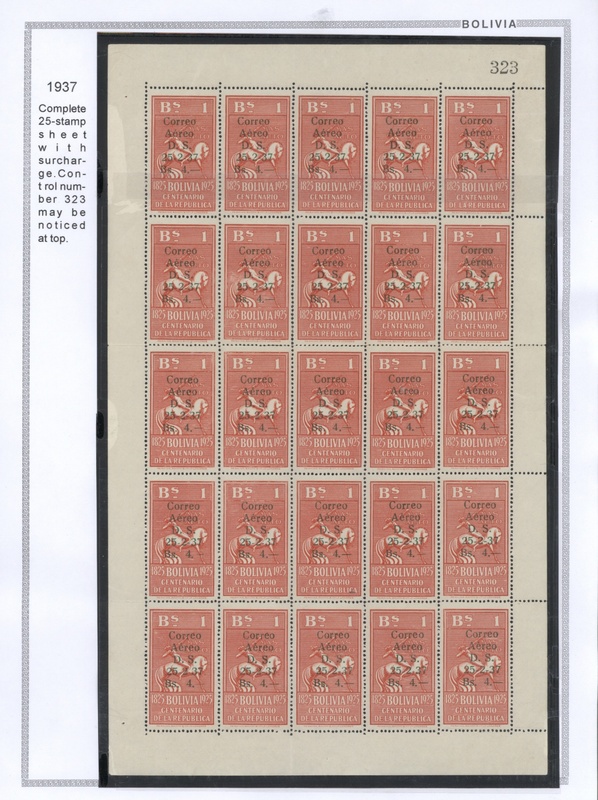 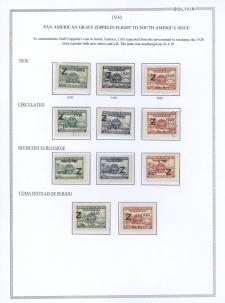 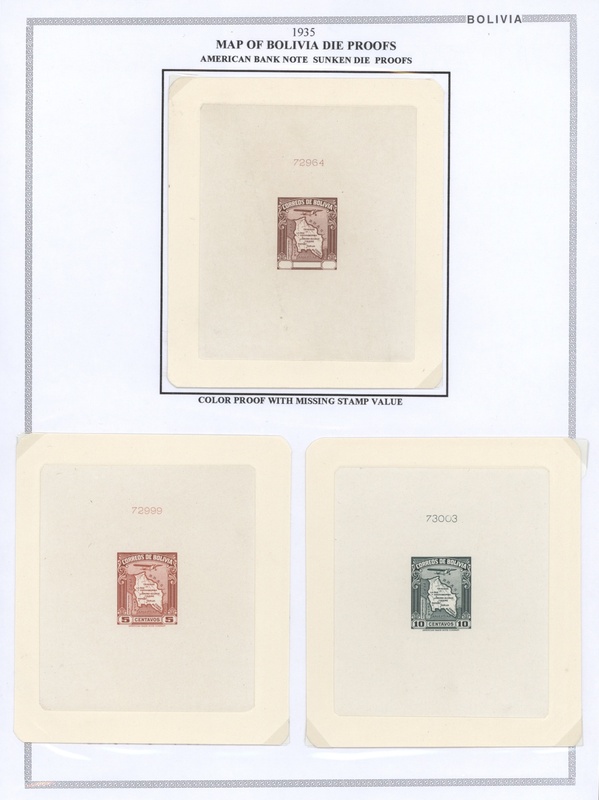 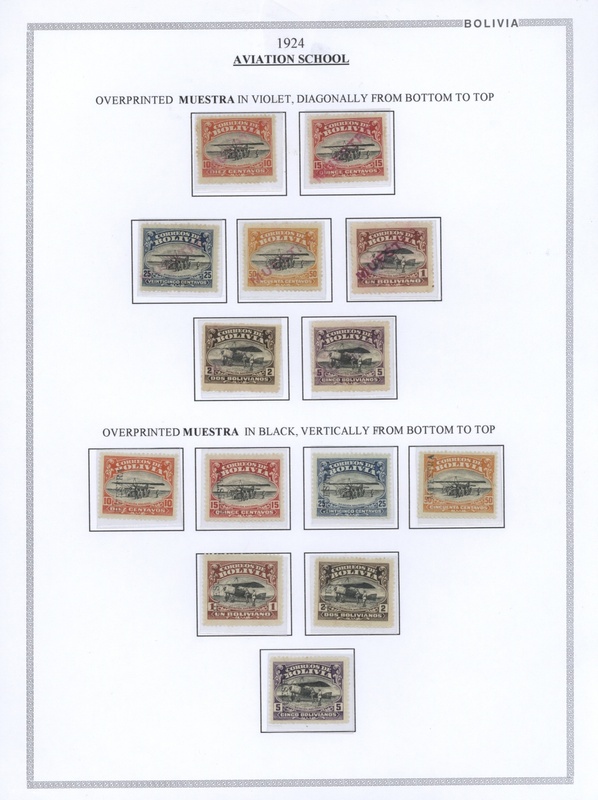 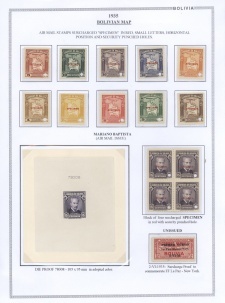 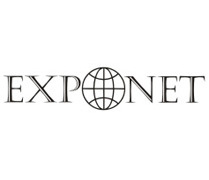 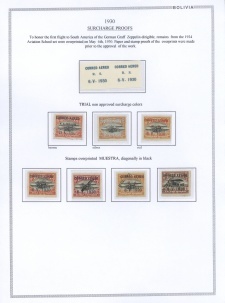 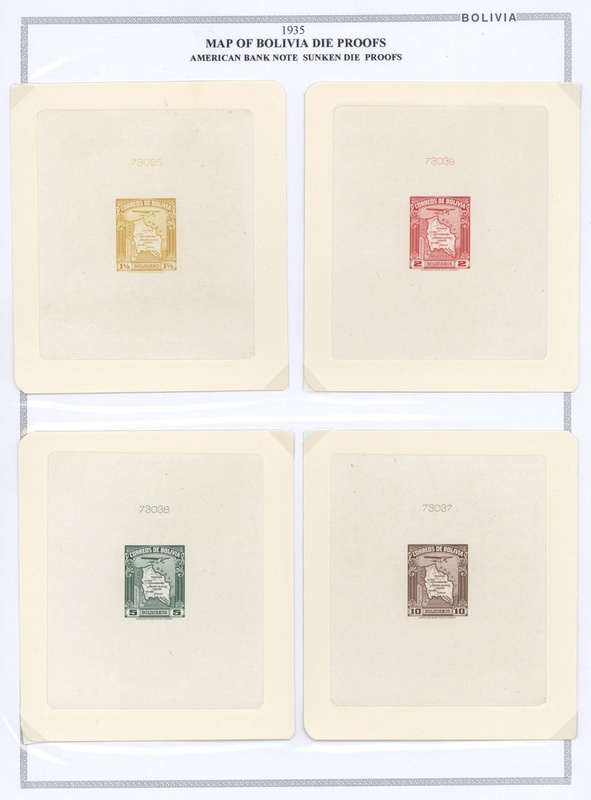 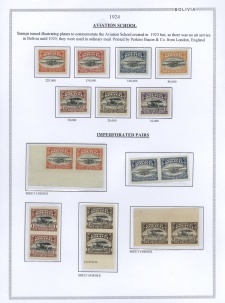 20 single die proofs and many imperforated stamps or "SPECIMEN" overprints, inverted surcharge etc.